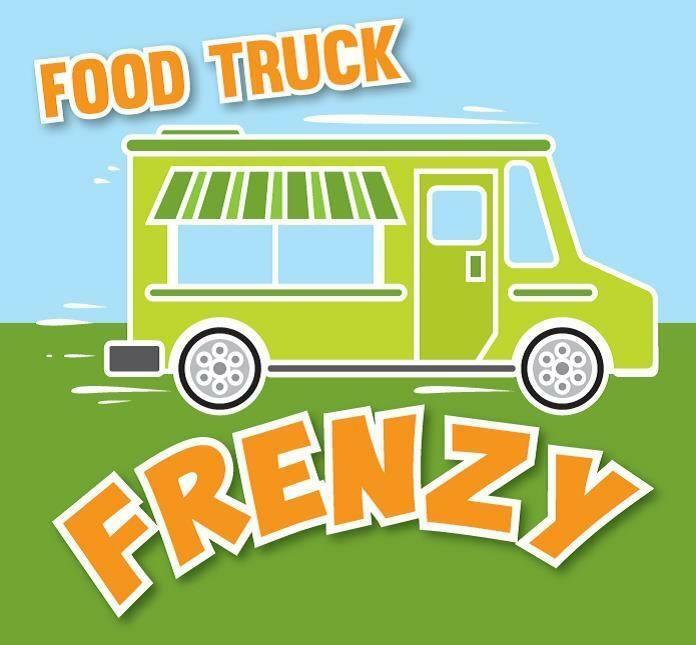 You’re all invited to the very first Food Truck Frenzy at Bradley Lake Park in Puyallup. Featuring a variety of food trucks and their food right on the lake. Not only will there be a frenzy of trucks with their delicious food, they will have entertainment from local artists. Bring your hungry bellies and prepare to have a great time. Don’t forget your blankets and chairs! The food trucks will be there from Noon to 6pm (Lunch-Dinner). This is a free event. Food prices vary. The celebration of Cinco de Mayo is in just a couple days and the City of Puyallup has a few activities you may enjoy. 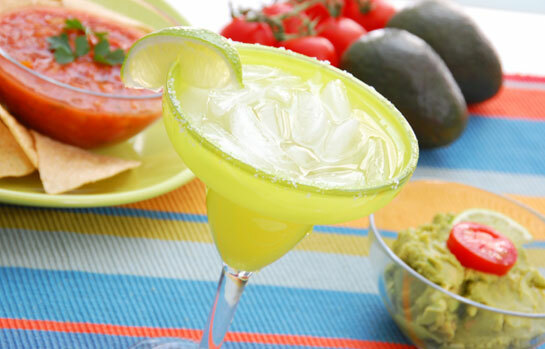 If you don’t know, Cinco de Mayo, is observed to celebrate the Mexican army’s victory (underdog) over the French Forces at the Battle of Puebla. Lets go over the most popular places in Puyallup on Cinco de Mayo. The Puerto Vallarta listed first will probably be the busiest as the night progress due to the bar scene downtown. If you’re open to leaving Puyallup for Cinco de Mayo, Tacoma has a few options for you to consider. The Matador always is throwing a party on Cinco de Mayo. This years “Bash” will have an outdoor beer garden, DJ midnight Mike will be playing music starting at 5pm. There is a $5 cover and it’s free before 7pm. If you’re still alive on Saturday, join the Cinco de Mayo 5k Race below. Description: If you’re around Wright Park (501 South I St., Tacoma 98405) and want to take on a festive 5K, you don’t want to miss this fun. The race will be a chip-timed, cross country style course with three loops. The kids can also do a 1 mile run. The race check-in is 8AM and the race starts at 10AM. If you’re the stay at home type you can still celebrate by cooking a new dish, wearing a sombrero, or just putting on a good movie. 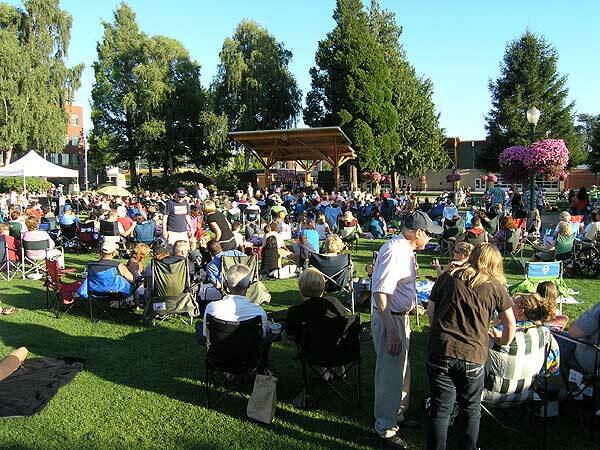 Each year the Puyallup Parks & Recreation brings us Concerts in the Park. The 2016 events will be held at Puyallup’s Pioneer Park (325 South Meridian) and Bradley Lake Park on South Hill (531 31st Ave S). This year they will have “Noon Tunes for Kids” which will run in the afternoon for an hour. It’s a mixture of music and activities for the kids. The “Noon Tunes for Kids” starts on July 5th 2016. The Family Series Concerts in the Park starts June 30th 2016 and runs every Thursday until August 25th 2016. The first event will be at Bradley Lake Park on June 30th at 6:30pm. The Beatniks will be rocking the park with their mix of classic rock. There are so many great events this year from Doctorfunk (funk & soul) July 21st, Bobby Sox & The Juke Box (50’s & 60’s) July 28th, Slim Wizzy (blues) Aug 4th, Heart By Heart (2 original Heart members) Aug 18th, and finally ending with Spike & The Impalers Aug 25 at Bradley Lake Park. 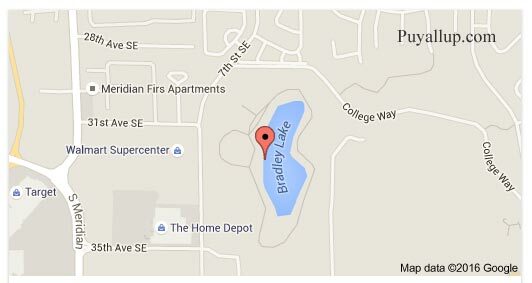 On August 13th 2016, there will be a community campout held at Bradley Lake Park from 6:30pm – 8pm. The Afrodisiacs will be playing and they are a really great disco band. They are quite popular in the nightlife scene around Tacoma and Seattle. It’s free (no cover). If you haven’t experienced Concerts in the Park before, you certainly will want to check it out. The Puyallup Community really comes together and it’s a great way to meet all your neighbors. Bring a chair, blanket/s, and some snacks to enjoy as well. 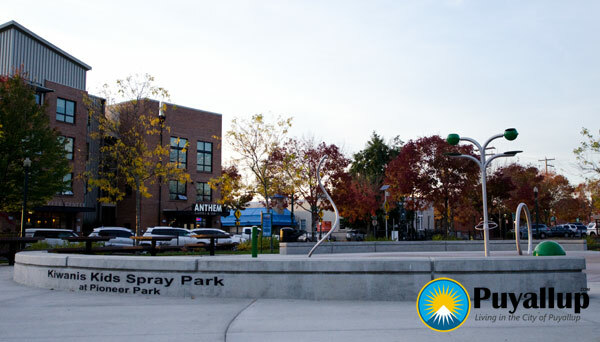 Prepare to dance as the sun goes down in one of Puyallup’s most historic parks – Pioneer Park. Here is the official schedule (PDF) for the 2016 concerts in the park. It includes both Pioneer Park and Bradley Park events. In the event of rain, all concerts will be moved inside the Pioneer Park Pavilion. The Saturday event at Bradley Lake Park (Afrodisiacs) would be cancelled. The best part of spring in Puyallup is the sheer volume of fun activities to do in the area. Following in the fun filled footsteps of the Daffodil Parade, The Washington State Spring Fair is gearing up for an even bigger and better fair for 2016. Filled with fun activities for the whole family, the Fair, from April 14th until April 17th, is one of the biggest attractions in the state. For over the last ten decades, the fair has delighted and entertained people of all ages and this year will be no exception. The weather forecast says it is going to warm and sunny so there is no excuse to not get down to the fair to enjoy some delicious food, fun rides, amazing musical and entertainment acts, adorable animals, and much more. Since the very first “Valley Fair” in 1900, the city of Puyallup and the Washington State Fair has focused on welcoming families and people from all ages and backgrounds in to enjoy the fair. The Fair’s core values include education, family, fun and making memories that last a lifetime. The Washington State Fair also provides hands on experience showcasing agriculture, the arts, and the marketplace. This year has seen the opening of SillyVille and an additional four more acres of fun designed for kids and adults alike. Another exciting addition is 12 new additional delicious food booths for the fairgoer to sample and delight in. One of the best reasons to visit the fair is food! The Spring Fair also is providing fun free entertainment from leaping DockDogs, the TimberWorks Lumberjack Show and the exciting Motorsport Mayhem shows. For those looking to update their landscaping, get spring cleaning tips, or their garden game, the Fair also hosts garden workshops for all those with a green thumb. There are also plenty of ways to save money at the Fair. 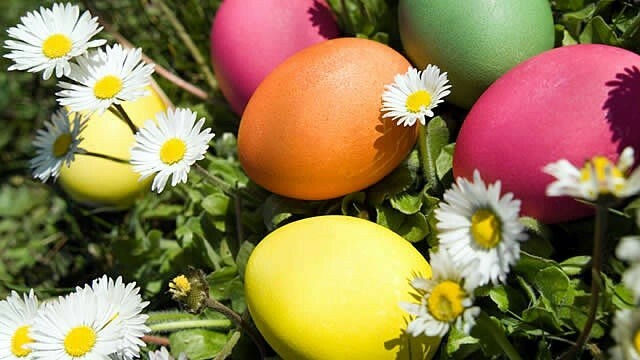 On Thursday, April 14th from 2pm until 10pm all kids 18 and under will receive free Spring Fair admission with a suggested non-perishable food donation for the Puyallup Food Bank. Kids 5 and under are always free at the fair. Also for all the brave men and women who are active, retired, reserve military or National Guard, their dependents, and disabled veterans with a valid military ID will be able to get into the Fair for free all day on Friday, April 15, 2016. Show ID at gate turnstile in order to get in for free. Also if you purchase online by April 13th you can save up to 25% per ticket. Also, group tickets with the minimum order of 25 tickets or more will give you an even deeper discount. The pre- fair discount price is $7.50 for adults and $6.50 for students ages 6-18. Regular price at the gate is $10.00 for adults and $8.00 for students. Also parking is free in the official fair parking lots. This year the Spring Fair is even bigger and better. There is something for everyone and it is way to make lasting memories with your family. For additional information regarding the fair, please use the following link, http://www.thefair.com/spring-fair and we hope to see you all there! 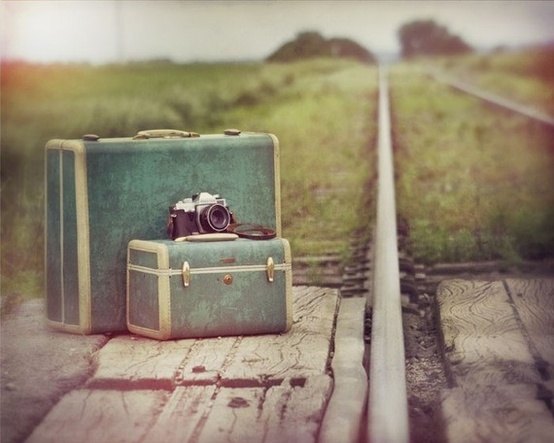 Have a fun experience or a photo you want to share with us? Join this conversation – Tweet Us! Spring is in the air and the daffodils are beginning to emerge to indicate the beginning of a beautiful spring in the Pacific Northwest. For the city of Puyallup the daffodils also signify the beginning of a wonderful event that celebrates the growth and spirit of the city. For over the last 80 years, the residents in the city have delighted in the events hosted by the festival. 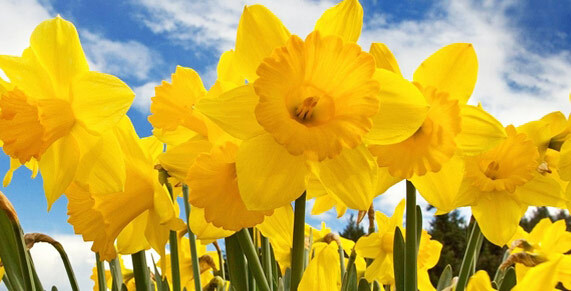 The Daffodil Festival is one of the best ways to celebrate spring in the city of Puyallup. The Daffodil Festival is a 501(c)(3) organization in Washington whose mission is to foster growth and help with the betterment of the communities within Pierce County area. The Festival began on April 6, 1926 when Mr. and Mrs. Charles W. Orton were hosts to civic leaders from 125 towns in Western Washington. Their mission statement says, “The Daffodil Festival is dedicated to provided Pierce County with community service, leadership training, educational opportunities…and four fantastic parades!” Their core values include commitment to education, active membership and volunteers, inspiration from community service and the development and training of future leaders. The Daffodil Royalty Court is one of the key components to the festival. The court is made up of 24 senior ladies from participating Pierce County High Schools that throughout the year work with the community to help develop public speaking skills, valuable lessons and help to grow their self confidence. They have the chance to meet and interact with people from their own communities from all ages, economic levels and local and government leaders. Even during the summer the Daffodil Princesses work to continue the spirit of the festivals by carrying the title of Official Ambassadors of Pierce County at other out of town parades. The official list of events starts with the Princess Promenade which serves as the first full court appearance for the court. The Princess Promenade is the celebration of the inauguration of each girl as an Official Daffodil Princess. Other main events during the festival include the Queen’s Luncheon, The Queen’s coronation and Daffodil 5K Challenge. The 5K Challenge takes runners through four cities in Pierce County and includes each of the parade routes. The four cities each have independent races that when run all together create the Challenge. The Daffodil Parade is the ultimate celebration for the entire festival. The Daffodil Parade is the culmination of the whole festival. The parade is this Saturday, April 9th and will travel through the cities of Tacoma, Puyallup, Sumner, and Orting. The start of the parade is in Tacoma at 10:15am. The parade will then move on to Puyallup at 12:45pm, then Sumner at 2:30pm and finally Orting at 5:00pm. The parade will have over 180 entries including floats, bands, marching and mounted units. The floats are decorated with thousands of fresh cut bright and sunny daffodils that have been grown in the Puyallup Valley for over the last 80 years. The festival is fun for the whole family and is a great event that brings the local community together. Make sure when you are out at the festival to tweet us your photos or thoughts at on our Twitter. We can’t wait to see you all there! For anyone looking to buy a home, the market is super hot right now! The real estate market is starting to heat up and get competitive and if you are looking to buy or sell, the right agent can make a difference between you finding your dream home or missing out. 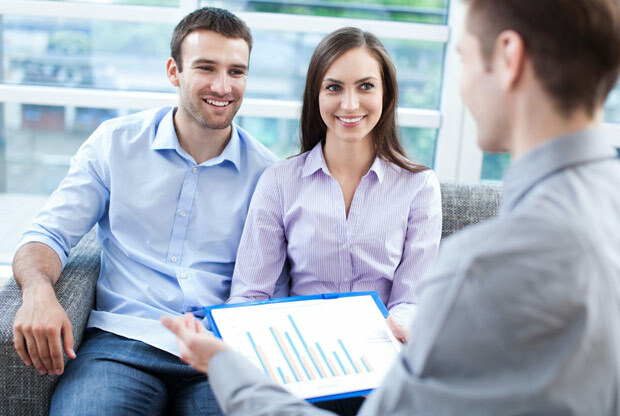 Building a good relationship with an agent is a key component to the buying and selling process. But what is the best way to go about building that relationship and that trust? How do you find the right agent for you and your needs? There are certain steps you can take in order to find the perfect agent to help you on this real estate journey. The first step when hiring an agent is getting feedback and recommendations from previous clients or from friends and family. This can really help boost the trust between you and an agent. The best way to find these clients is to ask the agent to provide a list of homes that they have sold and listed in the past year with contact information for the buyers and sellers. Ask the permission of the agent to contact past clients and ask the agent if there is anyone that he or she thinks would give a positive review or a negative review. Get the agent’s reasons for why they worked well with certain clients and not well with others. When speaking with previous clients, ask them what they liked about the agent and what they didn’t. Make sure to find out what the listing price was of the home they purchased and what the sale price was after the transaction was completed. From the list of homes that have been sold and listed, you can determine the overall success rate of the agent as well. Another crucial preliminary step when looking for an agent is to make sure to find one who understands where you are in life. A couple with a baby on the way has different needs than a single individual. For example, with a couple that has a baby on the way, it makes sense to work with an agent that maybe has children and understands what to look for when it comes to a new home and a neighborhood. Understanding a purchase timeline helps as well. Your agent should know when you’re moving to the area. Certain aspects of home can make it difficult with a newborn and the new parents won’t understand that until they have an agent that can point out potential issues. Certain layouts are designed to be more family friendly. The needs and wants for an individual can vary but working with an agent that was once in the same position will help highlight what would be the best investment choice for your money. A background check into the agent can provide key details regarding their credentials. Look up licensing with the state board to see the license of the agent and if there are any disciplinary actions against that agent. Also looking into the credentials of the real estate agent is a good idea to see if they specialize in specific areas of real estate. Look for certain acronyms like CRS (Certified Residential Specialist), ABR (Accredited Buyer’s Representative) and SRES (Seniors Real Estate Specialist). The CRS credential means an agent has completed additional education in residential real estate, ABR means that the agent has completed training in representing buyers in a transaction and SRES means that they have completed training that is aimed at helping buyers and sellers in the 50 and over age range. There is also a distinction between a relator who refers to themselves as a “Realtor” versus a “realtor”. If they use the term “Realtor” then that means they are member of the National Association of Realtors. Members are required to uphold certain code of ethics and standards when it comes to selling and listing homes. There are a few crucial questions that you should be asking a potential real estate agent when trying to find one that will be the best fit for you. Two of those key questions is finding out what geographical areas and the types of properties that the agent handles. Certain neighborhoods have certain idiosyncrasies that are important for an agent to know when helping their client to navigate buying or listing a home in that area. For example, certain older cities have homes with historical value and the city might restrict certain additions or updates to that home. Moving out of a city and into the suburbs or vice versus can present their own challenges. People looking to start families have different needs and wants when it comes to a neighborhood and finding an agent that has that particular type of expertise can help you find the home of your dreams. Another important question to ask the agent is how long they have been in business. In the real estate business, experience is everything. More experienced agents not only understand the ins and outs of the market but they have also had the time to build a valuable network within the real estate community that you could benefit from when buying or selling a home. Some agents are only part time and some are full time. The part time agents usually sell or list properties for friends and family whereas the full time agent have created a business and a career out of buying and selling homes. Make sure to check and see if they are part time or full time and decide which works better for you. Most people find that a full time agent is more motivated and has better connections that a part time agent. St. Patrick’s Day is right around the corner and most people like to go out and celebrate the feast day of St. Patrick of Ireland. There are many ways to celebrate this day for both people of age and younger kids in the greater Puyallup area. Even though many people look forward to this day for different reasons either for ancestral or celebratory motives, few people know the background about the day itself. Every March 17th, the Irish and those who feel Irish at heart around the globe celebrate the day that began as a religious feast for the patron saint of Ireland. Patrick was a 5th century Romano-British Christian missionary and bishop in Ireland and although little known about the man himself, he became a driving force behind converting the pagan Irish to Christianity. He spent many years roaming Ireland converting thousands of Pagans or driving off those that wouldn’t convert. The allegory “driving out the snakes from Ireland” comes from Patrick driving out those that did not want to convert to Christianity. The tradition of celebrating on the 17th comes from the belief that Patrick died on the 17th of March. 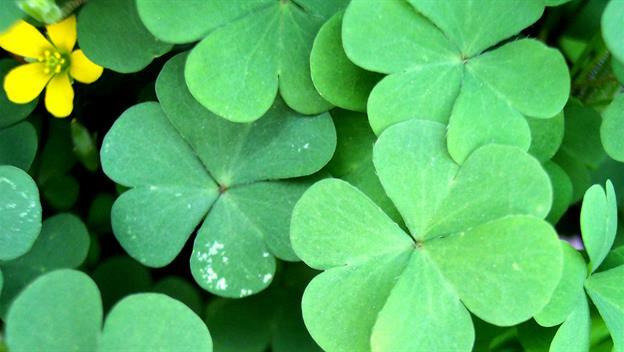 The wearing of green for the holiday is said to come from Patrick using the three-leaf clover to explain the Holy Trinity to the pagan Irish. So with the history in mind, where do people in Puyallup go to celebrate the holiday? Here are the following hotspots in the city for people of all ages to be able to celebrate the fun and historical holiday. For those revelers who are of age, the best place to celebrate is at your local Irish Bar. Puyallup is home to the TK Irish Pub and Eatery. Located downtown on Meridian in Puyallup, TK’s Irish Pub not only has a full menu but they also have a late night menu. This year for St. Patrick’s Day, TK Irish Pub will be celebrating the holiday for three days straight. Starting on Thursday, March 17th and continuing on Friday and Saturday, TK’s Irish Pub will have live music, a beer garden, food and drink specials and swag giveaways. There is a $5.00 cover for everyone 21 and over and they do offer a VIP bracelet for $25.00 that includes free cover, your first beer, skip waiting in line, and 10% off your bill for the rest of the year. Head down to TK’s Irish Pub for those 3 days for a rocking St. Patrick’s Day party. If you are looking to be a little more healthy or active on St. Patrick’s Day, head a little bit out of Puyallup to Tacoma for the St. Paddy’s Day Run. There will be a 5k, 10k, a half-marathon, and a kids 1k on Saturday, March 12th. Packet pick-up and gear check is from 7am until 8:30am and the half marathon starts at 8:10am, the 10k starts at 8:40am and the 5k starts at 9:00am. Walkers and runners are welcome in the 5k. The kids race started at 11:00am. The Forum will open at 7:30am with Bud Light specials for those who are 21 years and older. You can register for this race at http://www.databarevents.com/stpaddysdayruntacoma. 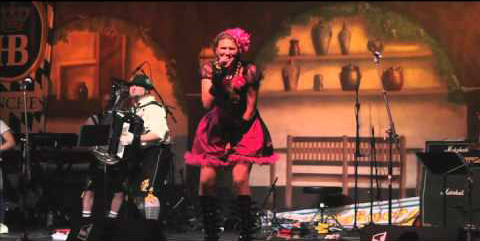 On March 24th, the Annual Celtic Faire will be held in downtown Puyallup on Main Street. The cost is free and the event is for all ages. The Faire will feature a pet parade, musical performances, the “Great Kilt” demonstration, and the Clan Uprising. The Clan Uprising will feature members of several Scottish clans stationed around the faire to tell stories and provide history about their heritage. 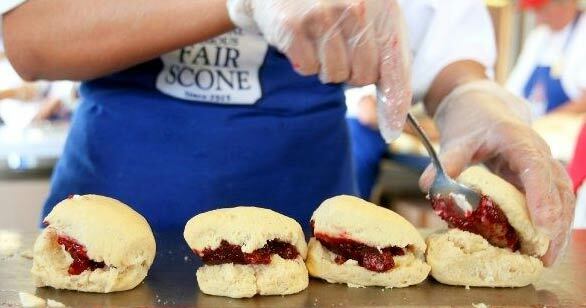 The Puget Sound Welsh Society will also be present at the faire. The Celtic Dog Parade will take place at 12pm that will feature many of the Celtic dog breeds like the Irish Wolfhounds, the Scottish Terriers, and many more. Bring your pups to downtown Puyallup to enjoy the Pet Parade. The well-known Scottish entertainer Red McWilliams will provide musical entertainment at the faire. He will be preforming inside Charlie’s Restaurant throughout the day. For all those who are curious about the tradition of dress of Scottish Highlanders, “The Great Kilt” demonstration by Cathy McWilliams will educate the audience on the history of dress while audience members assist Cathy in the traditional way of dress. Looking for something not related to St. Patrick’s Day? The weekend before St. Patrick’s Day, on March 12th and the 13th, the Washington State Fairground EXPO building is hosting the Crossroads Doll and Teddy Bear Show. The sales floor will be filled with dealers that are selling fine antiques, dolls, teddy bears, miniatures, supplies, furniture and accessories. Curious to know what those antique or vintage dolls and teddy bears are worth? Make sure to bring in your own dolls and teddy bears for appraisal. Marshall Martin from Antiques Roadshow will be on hand to appraise dolls and John Port, the world-renowned teddy bear expert, will be available to appraise teddy bears. Whether you want go all out for St. Patrick’s Day or want something low key, the greater Puyallup area has a lot to offer. From pubs to a doll and teddy bear show, there are many reasons to head out to celebrate this fun and festive holiday. The city of Puyallup and the outlying cities offer a lot of fun of activities for all ages. Regardless of how you want to celebrate your St. Patrick’s Day, we would love to hear about it! Tweet us at https://twitter.com/puyallupcom and let us know how you like celebrate the holiday! 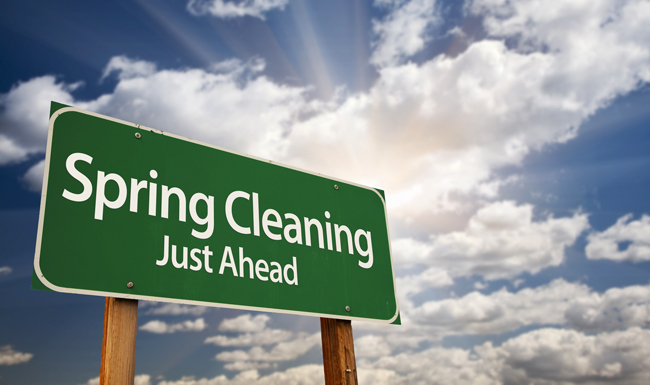 Although it doesn’t feel like it, spring is around the corner and for those people looking to sell their Puyallup homes it is time to amp up your resale value. Curbside appeal can go a long way when it comes to selling your home. After homeowners have dumped a ton of money into the inside of their home, they rarely then turn their focus to the outside. Most homeowners mistakenly think that it’s too expensive to fix up the curbside appeal. However, not making the effort to spruce up the outside a bit can see your home sitting on the market for quite awhile or worse, having to lower the price on your house. Unfortunately most potential Puyallup homebuyers do not have the time or the know how to help fix curbside appeal. Most buyers are looking for turnkey homes because the amount of effort that goes into finding and moving into a house can be daunting. 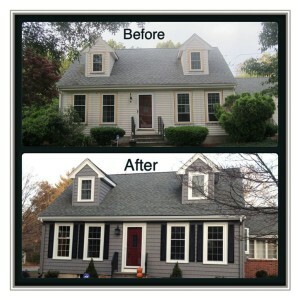 So when a potential buyer sees that the outside also needs work, it could be the deciding factor when buying the home. Even though Pinterest has helped open the door to more people that want to do DIY projects, rarely do buyers actually want to take the time to do them. As a seller, it is worth the time and some money to fix up the outside of your home. 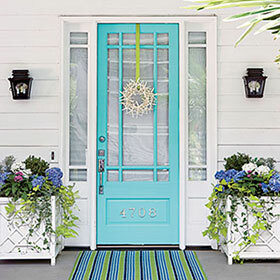 One of the easiest ways to help curbside appeal is to paint your front door a complimentary bright color. Bright colors on the outside of the house can intimidate some people but using it as an accent color can help give the home a fresh, updated look. The main issue is how to pick the correct color to match the overall look of the home. Here are some tips to help ensure that the color you pick will be a perfect match for your home. Bring whatever you can to the paint store from the outside of your home. For example, bring an extra brick from your home, or a painted shingle. If you still have the original paint color, paint it on a small board and bring it with you. Also bring as many paint swatches from the store home with you to compare them against your current paint job. Some stores sell tester samples and you can paint these tester samples onto a large board and place it over the door. Step back to get the overall look to see if the color matches the rest of the house. There is an app too called Front Door Paint that will take a photo of your door and let you “paint” it so you can see the overall look without a lot of effort. Picking a complimentary door color is very important so take your time when deciding. Using some cheap crown molding around your newly painted door will help that door really pop. You can pick up some crown molding at your local hardware store for anywhere from $15 to $30 to help frame your door. Once again, as a reminder it is important that the trim color match the door or at least complement the door and house color. The introduction of Urethane foam molding to market has allowed home owners the ability to spruce up their homes with molding for cheap. Urethane foam trim is lightweight, easy to cut, paintable and will never rot making it the ideal trim for the outside of your home. Here is an easy guide from the DIY Advice website to help guide you through the project. Once you have the door and the frame, adding accessories to the door will really help add some appeal to your front entry way. 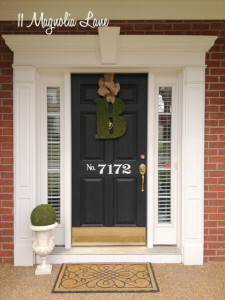 Adding some house numbers, doorknocker, and some lights add a lot of personality to your curbside appeal. You can either install numbers yourself or find some nice decals to add to your door. You can add the numbers to either the door or next to the door. You can find affordable house numbers on websites like Etsy or a local home improvement store. Also adding a nice doorknocker or a decorative letter will help complete the look. Even though electrical boxes and air conditioning units are a necessity to homes, they are almost always an eyesore unless they are properly camouflaged. Paint your electrical boxes the same color as your home to help hide them a little better. Hiding an AC unit usually requires a little more effort. You can plant some bushes around the unit which only requires your time and some plants that will properly provide coverage. 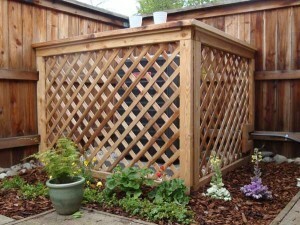 The second option is to use a lattice to hide the unsightly unit. The lattice usually provides more coverage. You can then add plants and flowers around the lattice for an extra spruced up look. Once the garage and the front door are completed, it is time to focus on the windows on the front of the house. Nothing brightens up a house more that some gorgeous brightly colored flowers. Adding some window boxes below the windows will not only help to frame the windows but also will help catch the eye of some potential buyers. This tutorial from Two Twenty One. gives simple step by step instructions on how to make your own flower boxes. Adding shutters to the windows also help to frame your windows and give the front of the house some character. Adding shutters is one of the easiest ways to make the greatest impact on the overall appearance of your home. However, if not properly installed, the shutters have the potential to ruin the appearance of your home. This post by Old House Guy (http://www.oldhouseguy.com/shutters/) gives some in depth details about the proper way to install shutters on your home and how to not ruin the look of your house. The old saying that first impressions mean everything is equally true when it comes to selling your home. People are more likely to drive past your home and not even look inside if the outside looks terrible. Quality curbside appeal can increase a home’s value anywhere between 7 and 15 percent. So not only are you getting a return on your investment but you are making your home more inviting to help attract potential buyers. No matter how much work you put into the inside the house, if you haven’t taken the time to fix up the outside, chances are potential buyers won’t be interested in coming in. Some people mistakenly think that it is too expensive or they are burnt out from all the work on the inside of the house and decide to forgo fixing up the outside. This mistake could cost you money and a quick sale of your Puyallup home. The tips above are a few inexpensive ways to get your home to sell quickly and when you are ready to sell contact a Puyallup listing agent to get your house on the market. Puyallup.com has a full real estate listings section if you’re in the market or just interested to see what homes in the area are selling for. Valentine’s day is a wonderful time of year to celebrate the people in your life that you love. Whether it be your family, significant other, or even your friends, Valentine’s day plans can sometimes stump even the most creative people and some people don’t necessarily have the time to plan an elaborate day or date night. For people in Puyallup, have no fear; here is a list of some fun things or creative ideas to show your loved ones how much you care. It doesn’t always take the most expensive present or extravagant gesture. All it takes is a heartfelt act to show them how you feel. The following is a list of gifts and activities in Puyallup area to help make your Valentine’s Day a little less stressful and a little more fun to plan. The right words are the way to the heart and a gift that immortalizes those words can bring joy over and over again. Some thoughtful words about how much you love your significant other or the reasons why you love them is a beautiful gift. This is something that you can either construct yourself or there is a company called Flatterbox that will construct a box with printed cards in it with all the sentiments and messages of love. Also get your friends and family in on the gift by asking them to submit messages of love to be included in the box. If you wish to construct a box on your own, all it takes is some card stock and a nice box from a craft store like Michael’s. Or for $49, Flatterbox will make a professional version for your loved one. Either way, the gift of lovely words and sentiments is something that your loved one can always cherish. Although giving chocolates for Valentine’s Day is more of a common gift, it is still a delicious gift that most people love to receive for Valentine’s Day. For all those people who have loved ones in their life who absolutely love chocolate, Puyallup has one of the best local chocolatier’s in the state. Gosanko Chocolate (http://gosankochocolate.com) is a family owned company that makes some of the most delicious homemade chocolates and they only manufacture in small batches in order to ensure quality. Located on A Street in Puyallup, they have a wide assortment of delectable gift boxes that are filled with their most popular truffles. Buying locally is always a great way to support your community and to give your loved ones a delicious gift at the same time. For those people who love sweets but not chocolate, cupcakes and cake pops are little mini cakes that are perfect for Valentine’s Day treat. Wanna Cupcake offers cake pops and cupcakes in the greater Puyallup area. They are a local business located on East Main Street who, for a fee, will deliver within the Puyallup area. For anyone living in the area, cupcake delivery will help make your Valentine’s Day a little easier and make your someone special’s day a little brighter. Wanna Cupcake offers all different flavors for those people who like variety when it comes to their cupcake and cake pop flavors. One of best reasons to celebrate Valentine’s Day is that it is a preplanned day that celebrates your love for one another. For some people, life can be hectic and it is hard to get out for a date night on a regular basis so Valentine’ day offers the perfect excuse to get that babysitter and put all other distractions aside. For people that don’t get out enough for a date night, 12 pre-planned date night ideas for the whole year is a great idea for people who wish to spend more quality time with their significant other. Get a basket and 12 large envelopes and stuff each envelope with a date idea for that specific month. All 12 of the dates can be different, like taking a cooking class during the month of March, or attending a live music event the following month. Find new and exciting things so you and your better half can create new memories for the year. Keep the dates a secret and open them with your significant other at the beginning of each month and then pick a date on the calendar. This gift is a great idea to celebrate your love all year long. Know a lover of history in your life? On Saturday, February 13th, Meeker Mansion hosts a traditional Victorian Tea for you and that someone special. Come spend your Valentine’s Day afternoon stepping back in time at a proper tea gathering at one of Puyallup’s most historical landmarks. The Valentine’s Day Tea will start at 1:30pm and costs $12. Reservations are required. This is the great activity for people who are looking for something different for Valentine’s Day. Also supporting your local businesses and celebrating Puyallup’s history is a great way to support your community. You can call the Meeker Mansion at 253-8181-1770 to make reservations. Some couples never seem to get quality time to relax together. As much as we all wish we could go to the spa once a week, busy schedules just don’t allow it. Taking the time to do a spa day together is a great way to reconnect and relax. You can either find a local spa in your area or set up your own spa at your home. Arabella Vitall Day Spa in Puyallup is offering a romantic “Time for Two” couple’s spa package. You and your loved one begin the appointment in the private aromatherapy bath surrounded by candlelight. You are served sparkling cider before you and your loved one enjoy an hour long couples massage. Each couple receive two champagne glasses and chocolates. The package is $209. If you are a little short on money this Valentine’s Day, you can always create your own little spa at home. Convert a guest room with candles and heated sheets to help your loved one relax and enjoy the day. Pick up some oils for a massage and then run a bath for your significant other for a true romantic experience. Yoga has become quite popular in the last few years with studios springing up everywhere. For people who want to combine yoga with massage, Yoga Soleil is offering a Valentine’s Day Thai Yoga Massage Playshop at their Puyallup location on S. Meridian. This yoga workshop is not limited to just couples, you can bring a friend or family member to join you in this unique experience. Thai Yoga massage blends elements of acupressure, yoga, reflexology, physiotherapy, meditation, energy healing, deep tissue massage and Ayurveda. The playshop will be held on Saturday, February 13th from 4:00pm until 6:30pm. It is $35 per person or $60 for a couple. Whatever your plans are for this upcoming Valentine’s Day, the most important thing to remember is to celebrate the love of your friends and family. Whether you believe that the holiday was invented to sell some cards or believe it to be a celebration of love, Valentine’s Day gives us a wonderful excuse to shower the ones we love with affection. The city of Puyallup offers a wide range of fun, unique activities to help you and your loved one celebrate the day. Let us know what your plans are for Valentine’s Day by tweeting us at https://twitter.com/puyallupcom. We would love to hear from you! 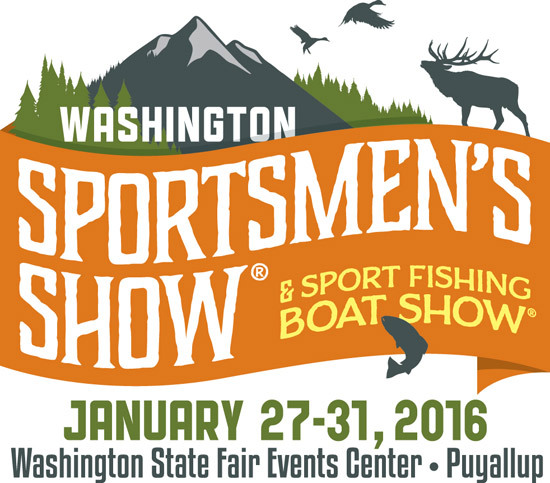 This weekend marks the start of the Washington Sportsmen Show in Puyallup at the Washington State Fair Events Center at the fairgrounds. This five day event is returning to the Northwest to showcase new attractions and exciting new products for men, women and children who have a passion for the outdoors. This event is the ultimate event for everyone of all ages interested in the outdoors and outdoor related activities and sports. This outdoor showcase offers attendees great deals and values on fishing and hunting gear, clothing, camping, equipment, sport fishing boats, RV’s and much more. The top professional guides, outfitters and resort owners will be at the show to help you and your family plan the perfect outdoor adventure in the upcoming year. Northwest pro staffers will also be there to share their expertise in the big attractions that include “Yakima Bait Indoor River,” the “Cowboy Fast Draw” presented by Les Schwab, the “Tour of Northwest Big Game Animals” and the “Head & Horn” competition. The family friendly features include the “Camp Cooking Demo Tent” presented by Smokehouse Products, Camp Chef and Franz; the popular “Kid’s Free Trout Pond” presented by Baxter Auto Parts; and the Lowrance Learning Center. These events are specifically designed to teach kids about the exciting world of the outdoors. The Washington Sportsmen Show in Puyallup is also excited to present wilderness survival and outdoor safety expert Brett Stoffel who will be at the show to share his knowledge about survival basics, signaling and equipment needs during multiple seminar theater presentations. This event is sponsored by Western Washington Toyota Dealers. If you want to meet Stoffel to ask any questions, he can be found at the Toyota display. For the first time major Northwest retailer Bi-Mart is participating in the show with a major on-site sale of centerfire rifle, handgun and shotgun ammo. Also while supplies last, small count bricks (325-ct.) of .22’s will be available (limit two boxes per customer per transaction; purchaser must be 21 for this item). The Bi-Mart retail area will be located near the Head & Horns display, and will also feature optics and other products for sale. One of the most popular events at the show returns again for the third year in a row. The “Cowboy Fast Draw” gives attendees the chance to experience the Old West under the supervision of Cal “Quick Cal” Eilrich, the 17-time Cowboy Fast Draw Association World Champion. This fun event focuses on safety, fun and prizes as people of all levels of experience can test out and learn in the indoor target range. The event provides Classic Colt 45 style six-guns, vintage holsters and special wax bullets. The show has more than 150 hours of learning opportunities in multiple venues in both the fishing and hunting theaters. For fisherman the outdoor Fly Casting Pool and the Fly Tying Theater will host the best of the best in the industry. This year’s guests include fly fishing authorities Arnie Gidlow, Denny Rickards and Don Simonson, Tom Nelson (Catching Shrimp & Crab), Terry Rudnick (Washington Halibut Fishing in 2016), Mark Gavin (salmon fishing), and representatives from the Washington Department of Fish & Wildlife. These talented individuals will be on hand to provide the latest advice and recommendations for fishing. Hunters will also be able to have the chance to learn the latest expert advice and tips in seminars by leading hunting and fishing authority Scott Haugen (multiple presentations), Glen Berry (Elk calls), Tim Brown (choosing guides and outfitters for domestic and international hunting), Dan Kloer (bear and elk calling), Nathan Brence (family hunting), R.J. Marquart (dog training) and Sam Kolb (planning for a hunt). There is something there for all levels of hunters and fisherman. Due the massive amount of events, speakers, and topics featured at the show, please visit http://www.thesportshows.com/shows/washington/ for additional information about events and speakers at the show. Make sure to visit that link to plan your time appropriately while visiting the show. Show hours are 12:00 noon to 8 p.m. Wednesday through Friday (Jan. 27-29), 10 a.m. to 8 p.m. on Saturday. (Jan. 30) and 10 a.m. to 4 p.m. Sunday (Jan. 31). The show offers FREE parking in the fairgrounds’ parking lots during its five-day run for your convenience. Admission is $12 for adults; juniors (6-16), $5; and children five and under are admitted free. $18 two-day passes are also available. For information and online ticket purchases and discounts, please visit www.thesportshows.com. For some people, there is nothing more exhilarating than treasure hunting through an antique store or collectible show and finding that perfect antique or vintage piece. There is such a rush as you search and pick through items from the past and finding that perfect addition to your home or maybe to resell and make some money is one of the best feelings for people who collect. People who collect antiques have a passion for it and spend hours researching and looking for that special treasure. Sometimes finding the right venue to search for antiques and collectibles can be difficult. For all of the collectors in the state of Washington, there is no better place to find some amazing antiques and collectibles than The Puyallup Antique & Collectible Show at the Sleep Country ShowPlex on January 23rd and the 24th. The Puyallup Antique & Collectible Show offers a wide variety of vendors who offer quality antiques in the Northwest. The 20th semi-annual show features 400 booths at the Washington State Fair grounds in Puyallup. Whether you are a treasure hunter, a decorator, or a collector this show offers that best variety of antique and collectibles for all kinds of treasure hunters. The vendors at the show offer a wide variety of items that range from antique toys, furniture, vintage clothing, glassware, art, and much more. The Puyallup Antique & Collectible Show is also one of the best shows to attend if you are an avid toy collector. Make sure to come by the show to look for wind-up mechanical toys, Star Wars collectibles, books, TV and movie memorabilia, and even antique toys from foreign countries. The fun part about collecting toys is that it brings such a sense of nostalgia to the collectors. 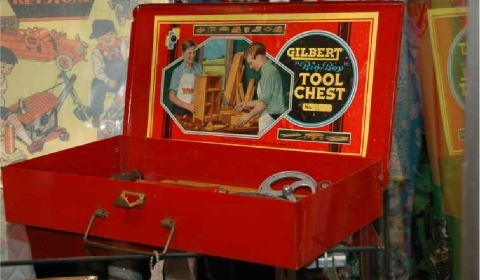 Vintage and antique toy collecting is a fun activity and this show has one of the largest collection of collectible toys from the 1880’s to the 1960’s in the Northwest. For those people looking for some quality antique and vintage toys, make sure to come to the show bright and early because they are likely to sell very quickly! For those people who are more of the classic collectors, the show offers gorgeous sterling silver pieces, Tiffany glass, paintings, restored vintage radios, and Native American artifacts. The classic collectors will love the wide variety of high value, classic antiques that will be perfect additions to a home or to resell. You will be hard pressed not to find a wonderful piece in the over 400 booths and hundred of vendors that come and make this show the largest antique show in the Northwest. The Puyallup Antique & Collectible Show will also have expert appraisers on hand at the show in order to help people appraise their treasures. The market evaluations will be offered by ISA appraisers. These appraisers will at the show to help identify and evaluate show patrons individual pieces if they are brought into the show. It will be $5.00 per item to get the item appraised and you can bring in pictures of larger items instead of trying to get the item down to the show. On Saturday the doors will open at 9am and close at 6pm and on Sunday from 10am until 5pm. The best access to the show is through the Blue Gate. Now that the holidays have come to a close, and the weather in Puyallup is as dreary as ever, the need for a vacation begins to become more of a want than a need. Although our days are getting longer, the weather still makes it hard to get excited about being out in Washington. We live in a very beautiful state but sometimes it is just nice to get away. So with all the places to travel in the world, where are the It places to go in 2016? There are many factors that go into deciding which new places should be considered the top places to travel for that year. Some of the factors considered are affordability, new emerging hot spots that are under the radar, a variety of one-of-a-kind attractions and iconic sights, or what places are travel specialists asking to go to this year? The hottest places to travel this year aren’t all of the international variety, there are places that make the It list that are closer to home. The following list complied is determined based on those following factors and are the hottest places to visit in the upcoming year. Make sure to contact your local travel agent in the Puyallup area to plan your next get-away to one of these fun and exciting locations. When traveling overseas, a majority of people focus on traveling to Europe. Europe is filled with history and delicious food but why not go farther back in history to the cradle of civilization. 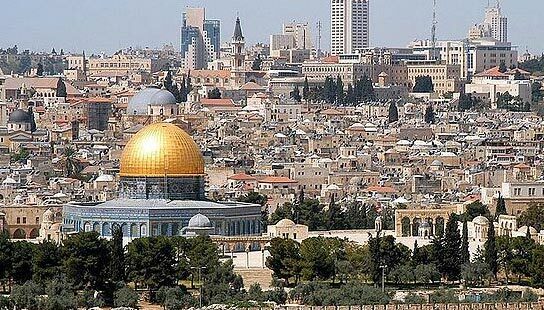 Jerusalem is one of the top places to visit in the upcoming year. The Holy City has deep ties to Judaism, Christianity, and Islam and has always been a must visit for people with faith due to the abundance of religious sites in the old city. However, in this upcoming year, Jerusalem is going to be the next place to visit due to the mixture of the modern life and the ancient life in the city. You can find delicious food from street vendors throughout the city. Some of the best places to travel are often overlooked because they are located in the United States and are not considered exotic enough. 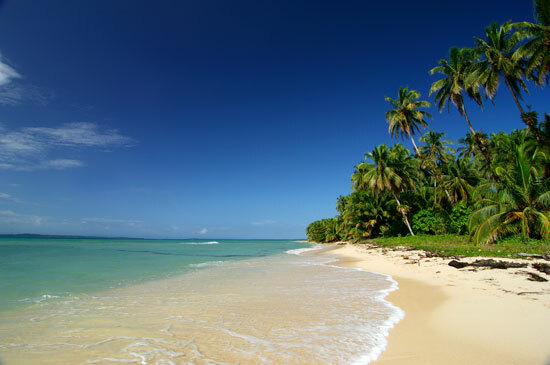 Puerto Rico is a beautiful island in the Caribbean that is very affordable to visit and offers tons of beautiful beaches, history, a vibrant nightlife, and the only tropical forest in the U.S. National Forest System. Flights there are affordable and there are also affordable beachfront hotels to stay at during your trip. When most people look to go to Europe, they often overlook Eastern Europe. The capital of Zagreb in Croatia, is often skipped due to it being overshadowed by other Adriatic Coast destinations. The last year saw lots of openings from museums, shops and restaurants. Zagreb is slowly becoming a culinary contender in the very competitive European culinary scene. The city is also planning on building a brand new passenger terminal at the Zagreb airport. This gorgeous city boosts beautiful architecture and so many picturesque moments. 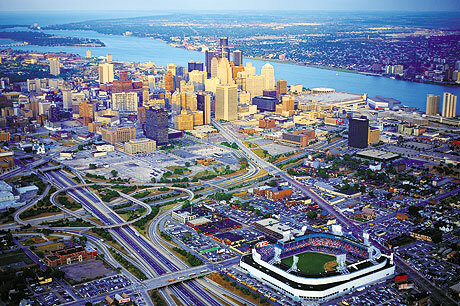 Most people associate Detroit, Michigan with the economic crisis. The city was hit very hard during those years and fell into a state of disarray. However, due to monumental efforts on the city’s part, Detroit is being revitalized as a tourist destination. Gorgeous hotels are being built and renovated, the West Riverfront Park and the DNR Outdoor Adventure Center are huge attractions, and almost 100 new restaurants have been opened to help build the culinary scene. Major retailers are also taking interest in the fashion scene there and opening up doors in the city. Asia has always been considered to be one of the most exotic locations to visit. This can intimidate some travelers but for those looking for a far flung locale that is exotic yet under the radar, Taipei, Taiwan is the perfect getaway. 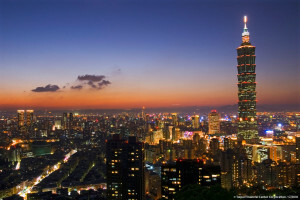 Taipei has been quietly becoming one of the most compelling Asian cities due to its easy to use public transportation system, their delicious food scene that includes street food vendors and fine-dining restaurants, and their exploding art scene. The city has been named the World Design Capital for 2016, and the construction on the Taipei Performing Arts Centre by OMA (Office for Metropolitan Architecture), a complex with three theaters, should be completed this year and will help bring the city to the next level in the art scene. Taipei Tower Credit: Taipei Financial Center Corp.
For people looking for a remote tropical escape they need to look no further than Bocos del Toro, on the Isthmus of Panama. 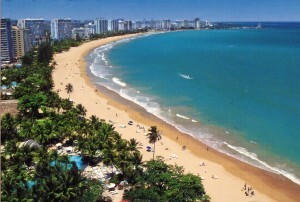 Home to beautiful tropical rain forests, coral reefs filled with gorgeous sea life, and quiet stunning beaches. This archipelago is made up of nine islands and hundreds of cays and islets. Bocas del Toro is an hour fight from Panama City and is more of an adventure destination and not a luxury one but it is a charming destination nonetheless. This out of the way destination provides a quite escape off the beaten path. Toronto has long been in the shadow of Montreal and Vancouver when it comes to cities to visit in Canada. 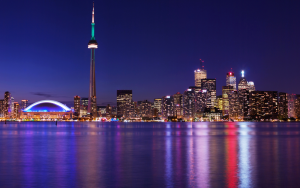 One of the major factors in the upswing in visitors is because of the Toronto’s new and improved waterfront and the lively nightlife of the Junction Neighborhood. Toronto has been ambitiously working on their urban revitalization by adding bikes and pedestrian paths and new streetcars. The Toronto Film Festival also has a huge draw of tourists every September. The new express train is a breeze to take from the airport to the city. Galle, Sri Lanke was once a major stop along the Spice Route and is only hour long drive from Colombo. The picturesque drive to the city along with the gorgeous beachside setting make it well worth the visit. Galle is home to a 17th century fort that is a UNESCO heritage site and a Moorish bazaar that has merchants selling gorgeous gems and jewelry. It feels like a step back in time. There are plenty of hotels and restaurants that are both beachside and in the city. During the month of January the city also hosts its famous Galle Literary Festival that fills the city with poetry and live performances. Frankfurt, Germany has always had the reputation as being a more modern city filled with bankers and contemporary buildings. Much of country is filled with beautiful historical sites like Neuschwanstein Castle in Munich or the Brandenburg Gate in Berlin. 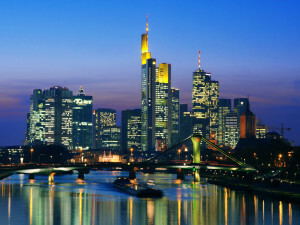 For travelers looking to spend some time in Modern Germany, Frankfurt is the city to visit. With new restaurants popping up all over the city, Frankfurt has started to gain the reputation as a contemporary culinary city. The hotels are sleek and modern and provide a glimpse into where modern Europe is headed when it comes to design and style. Last but not least, Ho Chi Minh City is one of the most affordable and exciting cities to visit in the world. It is a bustling, active city that has an amazing juxtaposition between the old and the new. The city is filled with old temples and sleek and chic shopping malls. 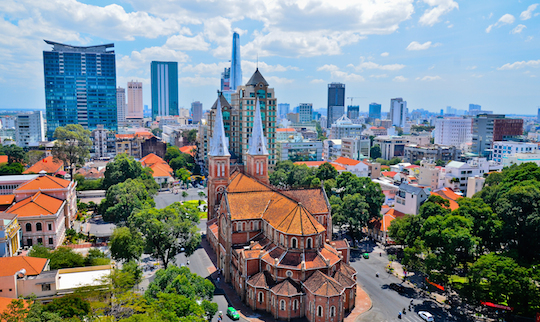 The city still boasts the French architecture from its years as Saigon and a visit to the War Remnants Museum walks the visitor through war through the eyes of the Vietnamese people. The city has so many different kinds of offerings that range from culture to history to a culinary adventure that make it a must visit for 2016. The theme for travel in 2016 is to explore off the beaten path. There are so many exciting places in the world that are hidden gems and 2016 is the chance to get out and explore those places. This list represents the best of those under the radar cities that one should visit in the upcoming year. If you have been to a place that you feel should have made our list, send us a tweet at Puyallup.com. Make sure to contact your local Puyallup travel agent to help you find the best deal on an exciting trip today! Escaping the holidays without having overindulged is a rarity. The holidays, starting with Thanksgiving, usually bring out all kinds of delicious food and treats that make it hard to abstain from eating too much or a frenzy or shopping or possibly reflection over regrettable choices that a person has made over the year. Most people usually end up regretting the amount of food and desserts that they ate over the holidays or maybe regret the amount of money they spent at the mall over the holiday and then they try to go big for their New Year’s resolutions. For most people this plan ends up back firing. New Year’s resolutions end up getting dropped after January. According to Forbes.com, only 8% of all people that make New Year’s resolutions will actually follow through. Although we go in with good intentions, our busy lives sometimes end up taking over or face challenges that create setbacks and our resolutions get put on the backburner. This doesn’t mean that we do not care or that we do not wish to improve ourselves, it just means that we don’t know how to follow through. 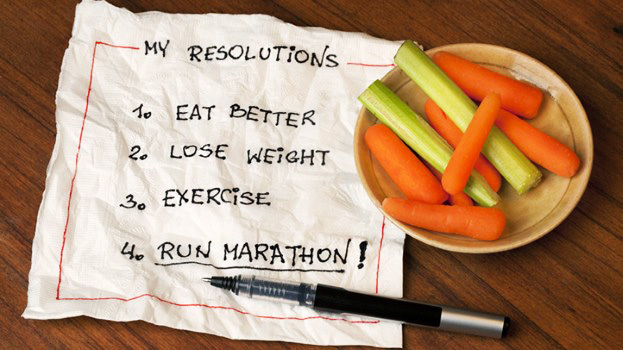 So what are the keys to success when it comes to keeping your resolutions? There are certain ideas to keep in mind when it comes to being able to keep those important resolutions. The American Psychological Association has stated some great resolutions tips and below you’ll find some of ours as well. First and foremost, keeping it simple is the best way to keep those goals obtainable. Most people try to attempt extreme makeovers like losing a lot of weight or come up with a long, intense list of professional or personal goals. Although thinking big can sometimes lead to big results, they can also be daunting and overwhelming. When you create a long list or a daunting list, you are creating a large mountain to climb in order to achieve any results in the long run. You are defeating yourself before you even get started. Keep your list short and create a timeline to achieve your goals that seems reasonable. Give yourself the whole year to accomplish your goals versus trying to jam a lot into a short amount of time. This way you have given yourself the time to actually achieve your goals. Secondly, make your goals tangible. As mentioned above, many people make extreme goals like “I want to lost 100lbs” or “I never am going to candy ever again”. These are admirable but not always realistic. We have a tendency to be extreme when it comes to our goals and resolutions. Because the goals are so extreme, when people try and fail they feel defeated. This defeat leads to just giving up on the goal all together. Instead of telling yourself to lose a specific amount of weight try telling yourself that your goal is to lose some weight in general. Once you start losing weight, you will feel encouraged to continue losing weight because you have already achieved your goal. Making reasonable goals sets you up for success. When making your resolutions for the New Year, focus on things that you really, really want. Sometimes people will make a long list of goals and are only really interested in maybe half the resolutions. We have a tendency to feel like we have to accomplish so many things in such a short amount of time. If you pick something that you are not really interested in, you will have a hard time making a commitment to see it through until completion. Choosing goals that are important to us make us take the time to actually invest in that goal. It’s not worth it to overload yourself with goals that you aren’t that interested in. Also give yourself some goals that are fun to accomplish. Most people focus on resolutions that are strictly focused on self-improvement. Making a goal to donate time to a charity or make a resolution to spend more time with loved ones in your life make for good goals that are easy to obtain and fun to achieve. Sometimes reaching out for help can be problematic for certain people. We like to think of ourselves as strong and independent people but in reality everyone needs support and help especially when it comes to accomplishing difficult and challenging goals. The best way to see a goal accomplished is by creating a support group or by finding an accountability buddy. By telling others your goals and your timeline to complete these goals, you now have someone that will help keep you on track and remind you of your ultimate responsibility. Make sure to find someone in your life that is not easily swayed by your excuses and someone who can be forceful with you. Pick someone who has a similar interest in your goals or wishes to complete the same goal. For example, when wanting to lose weight find a workout buddy, or if you want to quit smoking find someone who also wishes to quit smoking. Sharing your struggles with friends and family make the journey seem less intimidating and they can provide the support you need to make sure that you are successful. Setting goals for yourself is always a positive forward motion to a better life. However, there are always challenges that make us give up probably earlier than we should. The keys to success when it comes to sticking to your New Year’s resolutions that are listed above will help anyone achieve successful in their pursuit of self improvement. Something important to remember in your pursuit is to not beat yourself up over setbacks. There is no such thing as perfection so when you face a challenge and fail, it is important to not be too hard on yourself. Pick yourself back up and reconfigure your plan for success. Don’t let setbacks prevent you from starting again and giving it another try. It’s never too late to get your life on a healthy track. Keep these keys in mind when picking your goals and remember to have fun with it! We all know finding an apartment is no fun. Honestly, it’s a big hassle. In this article we will cover everything you need to know about finding an apartment in Puyallup. We’ll cover the moving, preparation, and strategies to finding your new place to live. Moving is about planning and saving your money. It’s important to start early so you’re not rushed finding a new place and to also making sure you’re saving appropriately. One of the first things you need to consider when getting an apartment is determining how much you can actually afford. The reality is if you can’t afford it then it’s probably not going to happen. A lot of places make the formula simple to get approved while others are move thorough with the process. Ideally, you want to be making 3 times the rent per month so keep that in mind. If you can prove that, then you’re in pretty good shape to get that apartment. Many apartment communities don’t look or even look at your other expenses (car payments, child support, ect) so it’s important you understand that these should be calculated into your rental apartment budget as well. If you have a pet then there maybe an extra monthly fee to consider. If you’ll be living with a roommate, they will most likely need to be added to the lease separately. This can help you save a lot of money and an option you may want to consider if it’s your first apartment. Income in most cases will need to be proved with documentation. The apartment complex may call your employer to verify your employment status with the company. Gather all your pay stubs so they are ready for the apartment complex manager if asked. When looking for an apartment consider the following moving timeline to help strategize your move. Your FICO credit rating is a factor when getting an apartment. Make sure you understand it and determine where you’re rated. In many causes it’s the most important factor in determining if you’ll actually get the new place. Unfortunately, bad things happen to good people. If your score is not so good, I would recommend having a least 3 or 4 times worth of rent in the bank for proof. In the event, your credit is poor, I would recommend you be upfront about it as well. This avoids it being a surprise during the application process. When you move in, don’t rush with the apartment furniture. If money is tight, save it for rent first and get your furniture a little bit down the road. The most important things are a bed so you can sleep and a place to sit and/or eat. Most people really are not impressed with expensive furniture nor even care if it’s used. It’s your place so if money is tight, then use a little more time and find some fantastic used bargains. Something’s you’ll need right away for your new apartment in Puyallup are the essentials. Things like a garbage can, cleaning supplies, and a few kitchen items probably need to be your first apartment purchases. Instead of paying top dollar for these items, make a trip to the dollar store first. Using good judgment, you can get a lot of those apartment essentials for just a dollar. Another strategy is just to see what your parents are willing to give up to help you out. Hit them up they probably have a lot of items they want to liquidate and don’t use anymore. They might as well give them to you for your new Puyallup apartment. The important thing with all of this is to treat it as a transition that grows with you as you job and money situation improves. All your income to increase and naturally so will your lifestyle. Don’t forget to stock your fridge or purchase some toilet paper. These things just don’t appear like they do when you lived at home with your parents. Food cost can actually creep up on you quickly especially if you go out a lot. Instead plan on saving money by learning to cook and staying in your new apartment to eat. Going out really can drain a budget and your savings. You need to plan for the extra things like heat, electricity, and water. 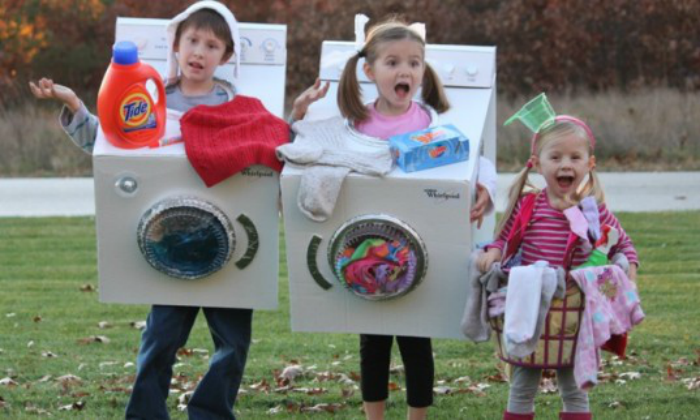 Make sure you get some laundry detergent so you can actually have clean clothes. Are you required to get renters insurance? Sometimes that is requirement at new apartment communities in Puyallup. There are lots of little extra things that you may not notice right away and it’s important you budget that into your monthly apartment rate. The Meridian Firs Apartments is located just at the top of South Hill on Meridian in Puyallup. It’s right by the 7/11 gas station. It’s a gated community unlike the Country Gables, however it’s slightly more expensive. The community is very green and surrounded by lots of trees. It’s rated 5 stars, according to Yelp, as well and again one of the most affordable. There you have it! Now you have some of the best tips, strategies, and apartments in the Puyallup area. So if you can’t buy a home just yet in Puyallup, then look at some of the apartments we’ve recommended. If you’re selling your home or interested in seeing the home values in Puyallup, feel out our form below. You’ll be immediately redirect to all the Puyallup home listings. The holidays are already upon us and the stores are bustling and busy with shoppers searching for those prefect gifts for their loved ones in their lives. Gift giving is one of the best parts of the season. However, sometimes tracking down the perfect gift can be difficult. Most of us are super busy during the holidays and sometimes trying to get into the stores and taking the time to search through all these stores can be taxing or tiring. Also, everyone has that person in their life that is just too hard to shop for. That is why gift guides are the best way to help find those prefect gifts for the holidays. Here is a list of the best holiday gifts out there for all your loved ones in your life. For the make-up lover that just can’t seem to get enough make-up or beauty products in their lives, Ulta is their version of heaven. Since opening at South Hill Mall, make-up lovers and beauty lovers have been flocking there to fulfill all their beauty needs. The most in demand gifts are their beauty gift sets. One of the most complete make-up sets that is super in demand is the Tarte Greatest Glitz Collector’s Set & Portable Palettes. This palette includes lipstick, eye shadows, mascara, and blush. For all the daring perfume lovers in your life, the exotic scents of Thierry Mugler are a perfect addition to their perfume collection. This set includes the four very popular Thierry Mugler perfumes that all have a deliciously exotic smell that is unique. You can never go wrong with gift set designed for body. The Body Shop is always a good go to for those people who are looking for a gift for a person who just loves beauty in general. Their shower gels and body butters are the best on the market. The Coconut Glowing Body 3-piece kit has Coconut Shower Cream, body scrub, and body butter to help reveal softer, glowing skin. For those people who have a super athlete in their lives, the South Hill Mall has multiple stores that have all kinds of sportswear and gadgets to help any athlete to reach their peak performance level. For the athlete who has a ton of gear to carry around to and from the field or gym, Champs Sports has the Under Armor Contain Backpack /Duffel II has compartments for everything and is made from an element resistant material. For the ultimate sports fan in your life who can never seem to have enough gear from their favorite sports teams, Just Sports in the South Hill Mall offers team gear from the NFL, the NBA, MLB, NCAA, NHL, MLS and the MILB. For all the Seahawks fans out there who have cheered for the team through the good times and bad, this ornament with complement will tree this holiday season. Just Sports also has some pretty amazing holidays sweaters to help showcase your pride for your team and the love of the holidays. Lady Foot Locker at the South Hill Mall has a wide variety of sportswear for the female athlete in your life. Now that the weather is getting colder, Lady Foot Locker has plenty of cold weather accessories to help keep her warm during all those outdoor workouts. The Nike Hyperelite F/Z Hoodie will help keep her warm and allow her to be fully mobile during those winter workouts. Toys “R” Us at the South Hill Mall is the place to get toys for kids. When shopping for your child or maybe a niece, nephew, grandchild or godchild Toys “R” Us is the best place to find toys for children of all ages. For the budding vet and animal lovers the Doc McStuffins Pet Vet Checkup Center for child 3 and up is the perfect gift. The little one can care for their stuffed animals with this play set that features an electronic stethoscope and kid-powered EKG monitor. For all those kids who love to build things and take them apart, the Meccano MeccaNoid G15 is a personal robot that features 600 parts that enable the child to create multiple designs and six motors that control the head, arms and feet for realistic movements. It’s a prefect gift for the potential future engineer! It’s never too early to get a child started on music training. For children who are musically inclined, Toy’s “R” Us has the First Act Discovery Rock N Roll Designer Acoustic Guitar. The guitar comes with a steel reinforced neck for durability, string sticker names and Learn-a-Chord cards to help the child pick up the basics. For those of us that have people in our life and we want to spoil there is no better way to go than jewelry. There are many jewelry stores in the South Hill Mall that offer a lot of luxury items for those special people that do so much for us. Kay Jewelers has an extensive men’s watch selection that offers a lot of variety from dress watches to more rugged watches. The Citizen’s Men’s Watch Nighthawk Chronograph CA0295-58E is a stylish black ion-plated stainless steel watch that is powered by light and it water-resistant up to 200 meters. You can never go wrong with a classic tennis bracelet for the special women in your life. Weisfield Jewelers has a variety of beautiful tennis bracelets that come in different prices ranges. The ½ CT TW Round-Cut sterling silver tennis bracelet is a gorgeous addition to any women’s jewelry collection. Zales has collaborated with Vera Wang to bring a stunning collection of jewelry to the store. Vera Wang’s LOVE Collection is filled with dainty feminine pieces for the jewelry lover who loves lady like details. The LOVE collections 1/5 CT T.W. Diamond Rose Pendant in Sterling Silver is a very detailed necklace that is both unique and beautifully feminine. For someone who loves home décor and their home, the South Hill Mall has a lot to offer for the home and garden. Target is always the best place to look for gifts that decorate the home. For those people who have more of a contemporary style, The Threshold Gold Stag Head adds a unique holiday cheer in any home. One way to really add some comfort to any home is the classic throw blanket. The prefect addition to any couch is unique, cuddly throw that will help keep any friend or family member warm through this long winter months. Target has the Threshold Chunky Knit Metallic Throw that would make the prefect gift for the person who loves to snuggle up with a warm throw blanket on the couch. For the joyous people in your life who love to decorate, getting a funky Christmas decoration for them home is always the perfect gift. Target overflows with quirky yet cute decorations for a reasonable price that looks prefect in any home. The Threshold Wooden Lit JOY Décor sign fits that bill. Outside of these gifts, the South Hill Mall in Puyallup is an excellent place to do your shopping, get some food and enjoy the holiday’s festive nature. There are also plenty of places in the mall to get gift cards for those who are truly the most difficult to shop for during the holidays. Just remember, there are only a few days left of holiday shopping so make sure to get out there and get your shopping done! When families decide to move to a region or a new city, a lot of thought and planning must go into that decision. There are so many factors to think about when moving to a new city. Certain questions like is the city affordable, how are the schools and is there a low crime rate are just a few that come to mind when contemplating whether a certain city is right for both you and your family. We are lucky in the Pacific Northwest to have access to so many activities both cultural and outdoors. From the museums in the cities to the mountains in the Cascade Range and the sea and the lakes, people here have the opportunity to lead full lives. There are so many reasons to pick Washington for a new place to settle down but where exactly is the best city? Taking certain factors into account, Puyallup, Washington is the best place to settle down. Here are the top reasons why Puyallup is where you should make your next move. 1. Cost of Living: City living is only really great if you can afford it. Seattle is starting to become one of the most expensive cities in the United States. With Amazon moving taking over the city, the more affordable neighborhoods are disappearing. The current average house price in Seattle is $525,00. Puyallup’s, on the other hand, has a current median home price is $224,500 and home appreciation is climbing steadily each year. The cumulative appreciation rate over the last ten years has been 30.30%, which ranks in the top 30% nationwide and even during the recession the Puyallup housing market continued to experience growth. Review our guide for more real estate information. Currently, gas prices in Puyallup are some of the lowest in Western Washington. They are fluctuating between $2.15 a gallon to $2.30 a gallon. 2. School District: For people who have children, there is nothing more important that a good school district. According to the Great Schools website, the Puyallup School District is rated 7 out of 10. Across the boards, both the elementary, middle and high schools, like PHS, in the Puyallup area rated above the rest of the state in proficiency in reading and math. Also the Puyallup school district has an average class size is 20 whereas the Seattle School district currently has an average of 30 students per class. Research and studies have shown that smaller class sizes are linked to positive educational benefits such better test scores, lower dropout rate and higher graduation rates. 3. Entertainment: Puyallup is the home to one of the top ten fairs in the United States. There are two annual events held at the fairgrounds every year. There is a 17 day event held every September and a four day Spring Fair every April. The local fair has live musical concerts from famous stars, comedy, rides, delicious food, and special exhibits. Throughout the year the fair has a variety of events each month all of which are held at the Washington State Fair. There are also three different movie theaters in the Puyallup area that play the latest movies. The city also holds a lot of family friendly events during the holidays like a community trick-or-treating event for children and the Lighted Santa Parade. Considering all the other local cities, Puyallup, Washington is one of most popular for entertainment. 4. Culture: Puyallup is a small city but with a busy community spirit. Puyallup hosts the Meeker Days Street fair, which is Pierce County’s largest street fair. The Meeker Days event is right downtown in Pioneer Park and covers several blocks. This street fair features live music, over 130 arts and crafts booths along with activities for children and teens. The food selection is massive and there are a lot of vendors as well. Also Puyallup’s annual Art and Wine Walk has become quite the popular event that features fantastic local, national and international wines. People get to sip on delicious wines while being able to shop and admire art in the downtown area. Puyallup also hosts one of the best farmer’s markets in Washington thanks to Puyallup being surrounded by fertile farmland. The farmers market features delicious local produce along with some arts and crafts booths. There is also a holiday farmers market that features unique holiday items like gifts and home décor. 5. 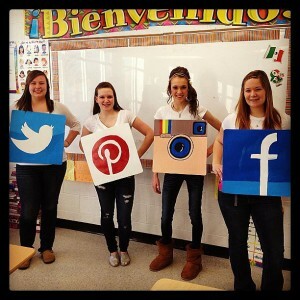 Social Scene: A social scene is a key aspect to a quality of life in a city. People love an active social scene that allows them to go out meet new people and gives them something fun to do in their city. Most people think they should head to Tacoma or Seattle but Puyallup’s budding social scene is a casual yet fun scene that features bars, breweries and delicious restaurants. There are places to dance and sing karaoke and parking there is hardly ever an issue. 6. Commute: Since Seattle’s cost of living has sky rocketed and people are leaving the city in droves and moving outwards to the outlying cities. Seattle traffic is some of the worst traffic in the United States. According to a national ranking by the Tom Tom Navigation Company, Seattle ranks as the fifth most congested city in the United States. Even navigating through the city itself takes forever. Luckily, Puyallup has the Sounder station right in downtown for a quick and painless 40 minute ride to the city. The sounder is spacious and comfortable and a lot less stressful than the sitting in traffic. Also parking in Seattle is outrageous and costs an arm and a leg. Taking the Puyallup Sounder eliminates the need for parking and helps save you money. It gets very busy, however, at the Puyallup location so come early to grab a parking spot at the Sounder station. Parking is free. 7. Outdoor Activities: Western Washington is blessed to have so many different kinds of outdoor activities within in one state. From skiing in the mountains to swimming in the ocean, Washington is filled with a lot of beautiful natural wonders. Those who live in the Puyallup area are fortunate because Puyallup is smack in the center of all of it. Mt. Rainer is only about an hour away, the Puget Sound in only 20 minutes away, beautiful Lake Tapps is only 15 minutes away, and skiing at Snoqualmie in only 90 minutes away. All those fun outdoor activities are so close to Puyallup and for those who love being outdoors, Puyallup is the most central location to all these exciting activities. It’s truly a great place to move to considering it’s central location alone. 8. Community: As mentioned above, the City of Puyallup hosts a lot of community events for families. This is one of the reasons that Puyallup has gained the reputation for being one of the friendliest cities in the state. Puyallup is filled with very down to earth people that love their city and work hard to be neighborly. The city is constantly working on bringing the community together by creating events that bring together local businesses, people and community leaders. The Main Street Association’s sole focus is creating fun events for the city that have become hugely popular over the years. Anyone who has ever moved before understands how stressful and overwhelming it can be. There are so many aspects to consider before and after you move. Packing all your furniture and things, selling your home, finding movers are just a few things that one has to do before making the move. After you have finally settled in the city, there is a vast amount of information that is required in order to help you get established. Whether you are relocating your business, family or just yourself the amount of tasks that must be completed can be daunting. 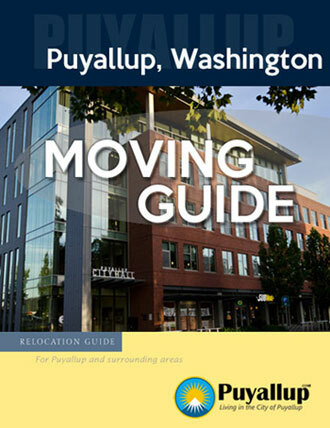 Here is a list of all local government agencies or businesses that you might need to contact to help make your relocation to Puyallup a little bit easier. Visit a driver license office to start your application or finish your application that you started online. Make sure to bring your proof of identity, payment for the fees, and your social security number. At the office you will need to be able to pass a vision screening, pay any fees, decide if you want to register to vote or be an organ donor, and pass any other required tests. Once you have taken care of all that, your out-of-state license /ID card will get punched and returned to you. You will then get a temporary license but you will not be able to use it for ID purposes. Your permanent license will be mailed within 7-10 days. First you must get your valid Washington drivers license in order to get you vehicle license. You have 30 days to license your vehicle once you have moved to the state. You then must submit your forms and payment and bring or mail them to a vehicle licensing office. You must bring or mail the Vehicle Certificate of Ownership Application, the current Certificate of title of your vehicle and payment for the fees. If you go to the office you will get your plates that day if you mail the forms in it might take up to 3 weeks. Once you get your plates sign up for a License express account in order all your vehicles in the future. There are two Vehicle Licensing agencies in Puyallup. (Main) McCallum License Agency, Inc. Within 60 days of moving to Washington to must register your boat. In order to title and register your boat in Puyallup Washington, you must complete the Vessel title Application and bring that along with the current out-of-state registration and title, proof you paid sales tax on the boat, and a check or money order to pay the fees. You can submit this packet by mail or you can visit a vehicle or boat license agency. Washington is filled with all kinds of outdoor activities. Hunting and fishing are very popular due to all the forest and lakes and access to the ocean. For all the hunters and Puyallup fisherman there are multiple places in the city to get a license. You’ll want to make sure get your fishing license for the Puyallup River as it’s often checked on site. Here are few places in order to get your license. The Puyallup Public Library focuses on an open environment that brings literacy, imagination and inspiration to all the patrons both young and old. The library was also built in 2002 and is filled with books, DVD’s, newspapers, and magazines of all genres. 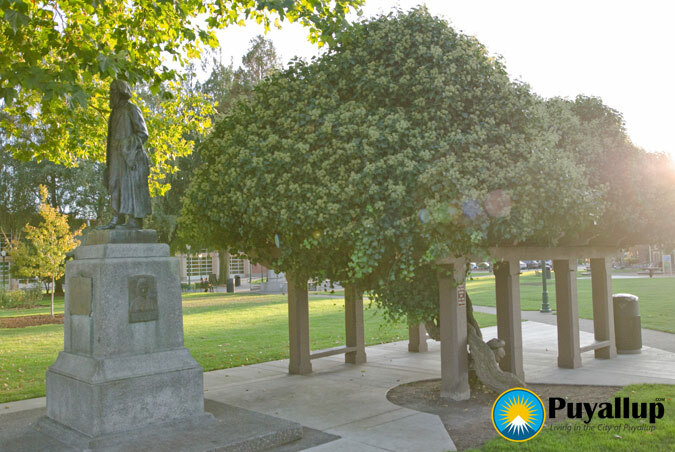 You can visit the main library downtown by the Ezra Meeker statue in Puyallup’s Pioneer Park. The land the Puyallup Library sits on was donated by Ezra Meeker himself with certain terms. The Puyallup Valley has a very rich history (and daffodils) dating back to 1830’s. The first European settler in the area was Dr. Tolmie. When he first passed through the area, it was a beautiful fertile valley that had a scenic river meandering through the valley. The Puyallup Tribe of Indians had a permanent dwelling along the riverbank and their tribe name originated from their hospitable nature. 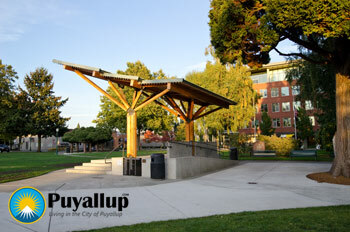 The word Puyallup translates to “generous people” which is the same spirit that the city is known for today. It later grew into a very popular hop industry here in Puyallup. If you are looking to learn about the history of Puyallup once you have settled in here or our local societies and museums also check out our Puyallup history timeline. There are two US Post Offices located for your convenience in the Puyallup area. Washington is a very environmentally friendly state and focusing on a recycling is an important part of living in the state. You can recycle glass, cardboard and newspaper at the following Elks Lodge location. You can drop off your items 7 days a week 24 hours a day. You can also arrange for curbside pick up service for recycling and garbage through DM Disposal. In an effort to keep your utility rates low, calls to the Utility Billing Office are answered by “Freedom Voice” during heavy call times. It helps the clerks return your call more quickly and effectively. Freedom Voice converts your voicemail into an email that goes directly to the city’s Utility Billing Clerks. All calls are returned by the next business day and all calls/emails to our office are scanned prior to utility shut-offs. To be eligible to vote, you must be at least 18 years of age and have lived in Puyallup for at least 30 days prior to the election that you wish to cast a vote in. Moving is always the worst part of relocating to a city. It is always stressful and sometimes finding a moving company or a storage unit just takes so much time to research and vet. Experienced movers can be hard to find and working with local companies will help make the transition easier. In the midst of moving, it is nice to have one spot where you can find all the information regarding the different companies in the Puyallup area. Here is a complied list of local moving, storage and truck rental companies in Puyallup. If you’re considering moving to Puyallup start here to learn more about Puyallup, Washington. Bousch Moving has been in business since 1919 and offers a moving service, a packing service and free estimates. Apex Moving and Storage offers both local and out of state moves. They also do corporate and office moves as well. As a bonus they do offer long and short term storage so instead of having to deal with two companies, one company can take care of your moving and storage needs. This company offers portable storage units that you load at your own pace and then the company will pick it up at your home when you are ready. They offer local and long distance moving. If your plan is to do all the moving yourself – then all you’ll need is a truck. As you know truck rental prices vary depending on size and miles driven. Almost all require you to replace the gas to the level it was at originally. These truck rental companies are all located in Puyallup, Washington. A storage company maybe needed during your move as well. 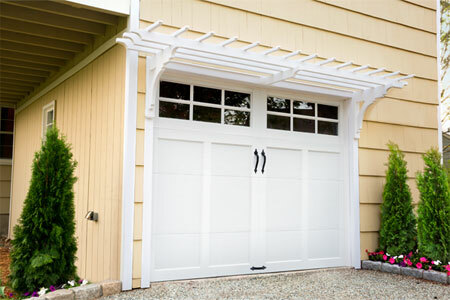 These storage companies are all located in Puyallup and are able to help you. We included some of the more popular ones in downtown Puyallup and on South Hill as well. Prices vary depending on the size of the storage unit, location, and the duration of use (months). The Northwest is one of the most beautiful parts of the country. There are many reasons to move to this area in the first place and even though there are many wonderful cities in the area to move to, Puyallup is one of the best for all the reasons listed above. You can’t go wrong with the gorgeous surroundings, fun activities for the whole family, and the low cost of living. All of these elements make Puyallup a great place to move to and live. It’s a great place for education as well for the whole family (colleges and public schools). If you plan on moving there soon don’t hesitate, homes are selling fast in the area. Make sure to contact a real estate agent today to find your dream home in your dream city. There you have it! The top reasons why living and moving to Puyallup is great. Hopefully the information above will make your move here easier. After the move, make sure your new place is all hooked up with the local services like water, gas, and utilities mention above and good luck. Find a new home in Puyallup. Fill out the form below and a local real estate agent will provide you a full list of Puyallup homes for sale. November is hitting the Puyallup area in full force with Thanksgiving around the corner. Fall is in the air and the temperature has slowly been dropping lower and lower forcing us to turn up our heat and don extra layers when we leave the home. Families are getting their holiday plans set and thinking about what to prepare for Thanksgiving dinner. Most people are contemplating what they are thankful for and a majority of those people have plenty to be thankful for this holiday season. However, there are families and people in your area that are not as fortunate. Some families do not have as many options when it comes to what they get to eat for their Thanksgiving dinner or get to don all those extra layers. According to stats from the most recent government data 48.1 million Americans lived in food-insecure households, including more than 15 million children. The term food-insecure is defined as “lacking reliable access to a sufficient quantity of affordable, nutritious food.” Giving to the local community of the Puyallup area should be added to your to do list this holiday season. There are many good reasons to give or volunteer during the holidays that benefit both your community and help contribute to the overall goodwill in the city during the holiday season. There are many benefits to volunteering or giving and some of those reasons actually benefit the person that is giving or volunteering. In a Canadian study, 85% of Ontario volunteers rated their health as “good,” compared to 79% of non-volunteers. Only 2% of volunteers reported “poor” health, one-third the amount of non-volunteers who reported the same health status. Also people who give or volunteer have higher self-esteems and have a tendency to be more positive. These are just a few reasons why giving to charity or volunteering for a cause is beneficial but here are seven more reasons why it counts both for you and your community. 1. Setting an example: They say that the future lies with the younger generation and teaching by setting an example is the best way to teach that generation how to be loving and caring adults. By showing your children that giving or volunteering is important it will teach them to do the same. One example is visiting the local food bank or donating your time is a great way to set an example for your children. 2. Tax Deduction: In the United States, any money donated to charity can be taken as a deduction on your tax return. Although this reason should not be the primary reason why you donate, it is definitely an added bonus. 3. Supporting a cause keeps you well informed about social injustice: When giving to a charity, people have a tendency to take the time to research the cause or issue that the charity supports. As result, people become more educated about the different types of social injustice that affect different places around the world. 4. 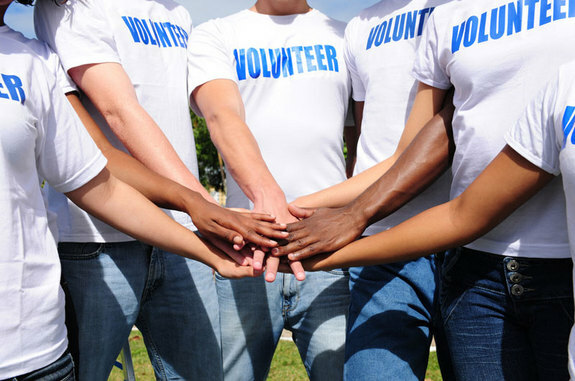 Volunteering results in physical and social benefits: Typically after donating money to a cause, people feel drawn to actually becoming involved with that particular charity by either donating their time or helping to organize charity based events. Inevitably, by giving your time to a charity your social circle will grow to include like-minded people. Studies have shown that people who have a wider social circle have a tendency to live longer and happier lives. 5. Giving back to your community: People often forgot that volunteering or donating locally helps to build a better community. Focusing on local charities will help to build a better city for both your family and the other families that live in the area. 6. Others will follow suite: It is common that once you begin to donate your time and money to charity, others around you will follow suite. Your passion for your newfound charity or cause will bleed over into the lives around you hence inspiring people to join the cause or donate their time and money. 7. Gain a whole new perspective on your life: Sometimes we let our lives drag us down or stress us out. Helping out those less fortunate can really help put your own problems in check and make you realize what truly is important in life. We do work hard for our money so rewarding ourselves with material possessions is not a bad thing. But imagine giving away just a bit of your time or your money and the benefits that both you and your community will reap will far surpass those material items. Make sure to take the time to volunteer or donate during the upcoming holidays. There are many organizations and charities in the Puyallup area that would love to have some of your time or donations. This link is to a website that lists a lot of amazing charities in the Puyallup area along with a brief description of the charity: http://greatnonprofits.org/city/puyallup/WA . There are so many ways to give this holiday season and so many reasons why it is important so don’t hesitate and contact one of these charities today to see how you can help! Pay it forward by sharing this article below. Halloween is upon us this weekend and it’s time to celebrate a wonderfully spooky way to have fun with friends and family. 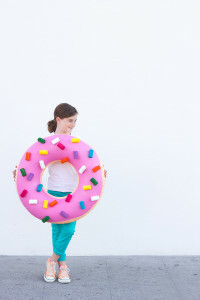 Now that everyone has his or her Halloween costume (and if you don’t check out our last post about last minute DIY Halloween costumes) it’s time to find local event in Puyallup to show off that Halloween costume and get some treats. Here is a list of local events happening in the Puyallup and surrounding areas this weekend. 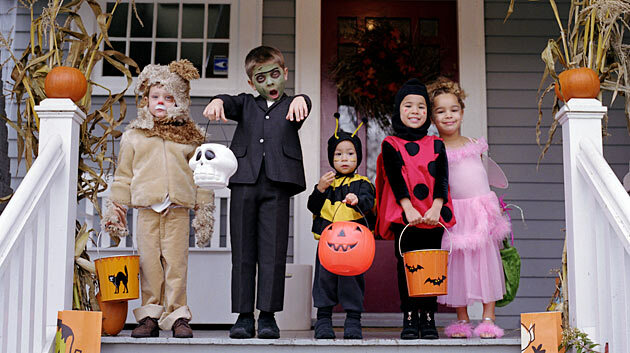 For some of the younger children ages 1-3, trick or treating isn’t really an option. Instead, the Puyallup Public Library hosts a “Toddler Treasures Storytime” Join Miss Carol for stories, song and rhymes to help entertain the young ones on October 30th at 11:15am. This is a free event that happens every Friday until November 21st. If you have any questions please feel free to call the library at (253) 841-5454. Looking for a safe place to take the kids on Halloween for some trick or treating? The Puyallup Main street Association has the “Boo-allup in Puyallup Trick or Treat” experience in the downtown area of Puyallup. 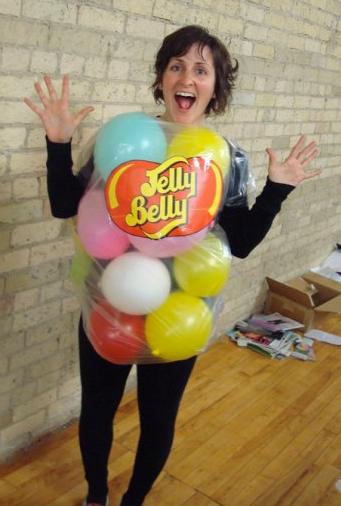 A ton of local businesses will be handing out candies and treats from 3-6pm on October 31st. Don’t miss this fun event for the whole family! The South Hill Mall also provides a safe trick or treating environment for kids on October 31st from 4pm until 7pm. Participating merchants will provide candy while supplies last. Also bring a can of food to help support the Puyallup Food Bank. The donation center for the food bank will be located in the center court. October is also anti-bullying month so Captain McFinn and Friends will be at the mall from 3-5pm in the center court to help teach kids about the effects of bullying and how to stop it. To learn more about Captain McFinn and Friends and their mission please visit www.captainmcfinn.com. The Cobweb Carnival a fun and festive carnival that includes games, bounce houses and a family friendly Halloween setting for kids in Puyallup. The event takes places on October 31st from 3 until 6pm and is located in the Pioneer Park Pavilion. This event runs in conjunction with the B”oo-allup in Puyallup Trick or Treating” event in Downtown Puyallup. This event is hosted by the city of Puyallup and is completely free to kids and their families! 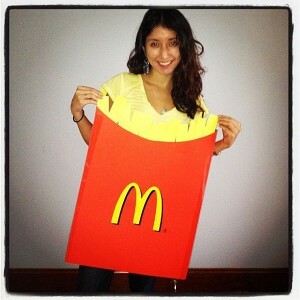 For a more adult oriented night out, Wayne’s Inn Bar and Grill is having a Halloween Costume Party on October 31st. The doors open at 10 pm and people in costume get in free. There will be $4 Fireball whiskey shots, $1 Jello shots, and $500 in prizes for the best couples costume, the sexiest costume and overall best costume. 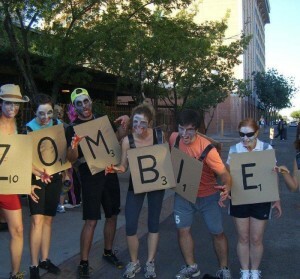 Come dressed to scare or impress and potentially win some money! For people looking for a fright this Halloween, there is no better place the Wild Wave’s Fright Fest. Fright Fest includes over 20 amusement rides, 2 haunted houses and BOOVILLE for children 12 and under. The two haunted houses featured are “The Chamber of Souls” and the “Play Ground Haunted House” in 3-D. Please note that the haunted houses are rated PG-13 so no children under 13 are allowed to enter. BOOLVILLE is a scare free zone that offers Halloween fun for children that includes the Monster Music Factory, a giant inflatable slide, an inflatable obstacle course, face painting a much more! Maris Farms offers all different kinds of fun fall activities on their 5+ acre farm. They have an animal barn, a corn maze, pedal carts, a giant jumping pillow, a large pumpkin patch and much, much more! Maris Farms also has the Haunted Woods, which is sure to bring frights and delights to all who dare to visit. The Haunted Woods offers a creepy quest through the corn and the forest that is a fun and scary for people who dare to accept the challenge. Maris Farms is open through this weekend. For a truly scary experience, check out the Fright Factory Haunted House. Open on October 29th and 30th from 7pm until 11pm and on Halloween night from 7pm until 12pm, the Fright Factory is sure to provide an awesomely scary experience that is very realistic and horrifying. General admission is only $12.00 and make sure to bring cash because credit and debit cards are not accepted. If you bring a canned food donation for the local food bank you will receive a dollar off the general admission price. They also have food and beverage vendors onsite along with parking. If you are ready for a truly scary and frightening Halloween experience, The Fright Factory should be one of your stops this weekend. 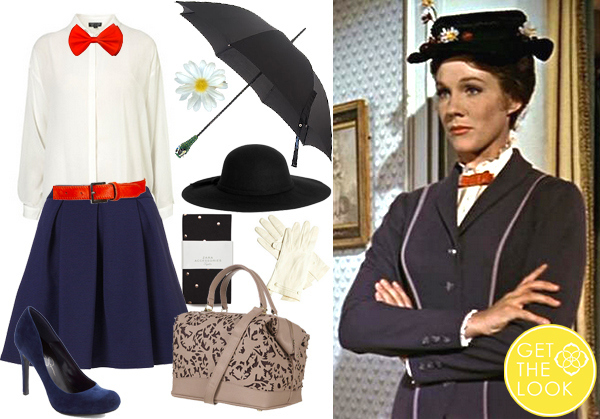 Make sure you have a wonderfully scary and safe Halloween this weekend. If you have any other suggestions of places to visit, please let us know on Twitter at https://twitter.com/puyallupcom. We look forward to hearing about any recommendations you might have! Education is a powerful thing. It is one of the most important things Ezra Meeker, our Puyallup pioneer, valued highly. The power of education not only enhances literacy, it creates inspiration and imagination. It can not only inspire yourself but help inspire others. Before Puyallup was even a city, there has always been a library. Before the land cut down to a manageable level by Ezra Meeker, his wife Eliza Jane was lending out books from Puyallup’s Pioneer Park. She always knew the value of acquiring knowledge and that is why she would lend the books out of her cabin. Puyallup was growing fast, however, and the process of her lending out the books was becoming more difficult. Soon after several businessmen (8) got together with funds of $5,000 to form the Puyallup Library Association. They expanded the book lending efforts greatly. This new enhancement allowed them to hire their first librarian, Francis McCoy, who was paid $25 per month. 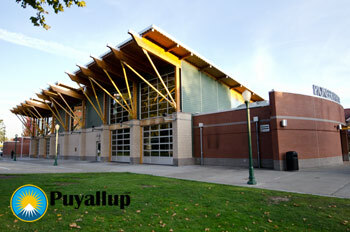 The first Puyallup Library was created by a grant that the City Council applied for. The City Council was persuaded/pushed by the local citizens to apply for it. During the beginning of the century about 3,000 Carnegie Libraries were built. Millionaire Andrew Carnegie was financing many of the public libraries during that period. This grant was one of the those opportunities and Puyallup was eventually successful. The initial library cost $12,500 and the City Council had to pledge $1,250 annually for supporting the new Puyallup Library. With the permission from Ezra Meeker, the library was built in the now Pioneer Park we all know today. Ezra donated the Pioneer Park with the agreement that it would only be used as a park, thus his permission was required before the library construction could be started. In 1913 the 4000 sq. ft. library opened and continued to serve the community for 50 years. Eventually, it just couldn’t support the growing community and the building was wearing down. The weight of the books were struggling to support all the books and it was declared unsafe. A new building was proposed. Voters approved a new bond and with that a new library would be built. The cost was $210,000 and 11,622 square feet. The building was bigger, better, and much more modern. Puyallup’s population continue to grow rapidly it went from 12,450 to 30,740 people and the library items continued to grow as well. In 1962 it was more than just books now. The Puyallup library had computers, DVD’s, cd’s, and talking books. The rooms were always occupied with students and business meetings. In short, the library needed to grow to meet the demands of the city, students, rental items, and the growth of the city of Puyallup. Another bond was presented to the voters and it passed on Sept. 14th 1999. The new building would be 39,500 sq. ft. Crowds came from all over Puyallup to witness the new opening of the library. It was a celebration and the people were anxious to experience it. The new Puyallup Public Library we know today has lots of space. It supports enough space for 150,000 books, 150,000 books, 20,000 videos, 12,000 talking books, and 10,000 cd’s. The also have computers which help and supports the process of finding more knowledge not only in the library but via the Internet. They have book meeting rooms and also studying rooms which can be used by students. Throughout the building you’ll find lots of tables for studying and friendly helpers. In 2009 during their first 4 months, the library lent out approx. 41,000 items per month. 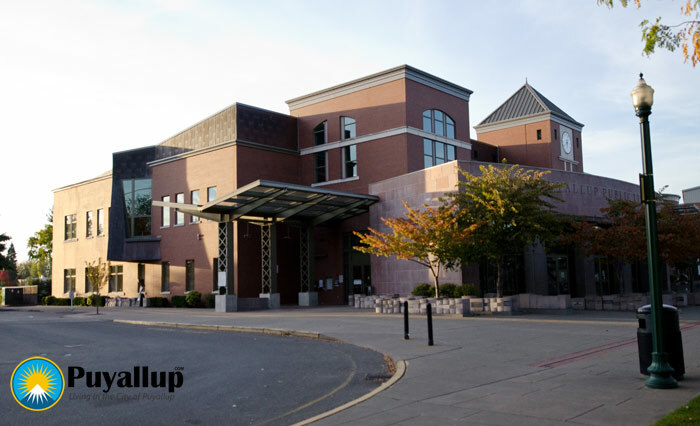 The Puyallup Public Library is a must visit being a resident of Puyallup. It offers so much to the community. Not only the knowledge it provides but events as well. In Oct 2015, they have readings, public movie events, and award winning authors who you can meet in person. Some of their programs include the Puyallup Festival of Books program. They have a full calendar of events on their site which are quite popular. On Oct 23rd and 24th 2015, they have the third annual Memories of Valor event. The Library has adult programs where you can get a guide to understand the communities history better. Volunteers help with this effort by using old photographs, year books, and other information which dates all the back to the 1900’s. There are also computer classes available for both adults and younger students. Kids’ Programs are available which focuses on making learning fun. More is available here but one of the more recent programs is called STREAM which stands for Science, Technology, Reading, Engineering, Art and Math. The program is hands on with the goal of using activities to make it fun to learn. Other kid events include a Mad Scientist Library Lab, Chain Reactions, and Technology Exploration. They also have children authors who visit and storytelling events. The kids have a great time and love the activities. These events change all the time so you’ll want to check back on their website often to see what is new at the Library. Lastly, the Puyallup Library has weekly programs for teens throughout the school year. These include movie days, creative art events, comic book events, the Anime Club, gaming, and crafting events. The Puyallup Public Library offers online tools also to help Puyallup residents find the information they are looking for 24/7. You can search by keyword, book, or author to get the information you’re looking for at the comfort of your home. The park which includes the library is known as Pioneer Park. 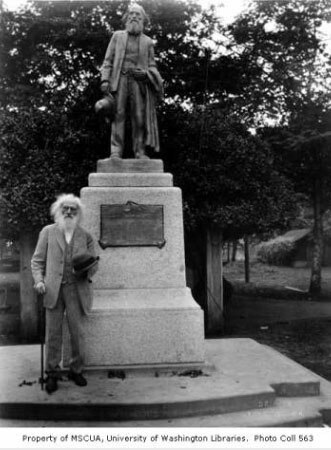 It features the statue of Ezra Meeker and the ivy location where the Meeker’s cabin once stood. Puyallup’s concert in the park is held here each year. The community really comes together for the musical events (Thursday nights). They bring lawn chairs, dance, and eat from many of the food vendors. The Park also holds the Pioneer Pavilion. The space is often used for the Famer Markets and also rented out for Weddings or special events. The newest attraction is the Kiwanis Kids Spray Park. It’s that time of year again! Time to head down to your local Puyallup pumpkin patch or farm to pick up a pumpkin for Halloween decorations. We have some great pumpkin patches in the area like Spooner Farms and Picha’s Pumpkin Patch so check them out. Carving pumpkins is one of the best parts of celebrating Halloween and every October people all over the U.S. adorn their homes, front porches and doorsteps with carved jack-o’-lanterns. Puyallup is usually lite up with pumpkins during October. The art of carving or decorating pumpkins goes back centuries and originates from Ireland based off the classic folktale of Stingy Jack. The story tells of a man nicknamed “Stingy Jack” who managed to cleverly trick the devil twice into not being able to claim his soul. Finally, when Jack died, God did not want him in heaven because he was an unsavory character and the Devil was still upset about the trick that was pulled on him so Jack wasn’t allowed into hell either. The Devil sent Jack away with only a burning coal to light his way which he then put into a carved out turnip. Jack has been roaming the earth ever since and the Irish referred to his ghostly figure as “Jack of the Lantern.” When people from Ireland and Scotland began to immigrant to the United Stated they brought the idea of carving potatoes or turnips with their own interpretations of Jack’s lantern and putting them on their doorsteps to warn of Jack and a host of other wandering evil ghouls, ghosts and spirits. There are many fun and creative ways to use pumpkins around your house to set the Halloween holiday mood. Here are a few creative ways to utilize pumpkins to decorate your Puyallup home in a truly unique way! Although carving pumpkins can be fun, for some people it can be a huge mess or the patterns are too complicated and take a lot of time. There are a lot of options outside of carving a pumpkin that are beautiful and unique ways to carve a pumpkin. 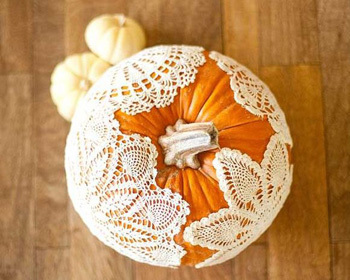 Using pieces of lace or a doily and some liquid starch, you “glue” the lace patterns onto the pumpkin. 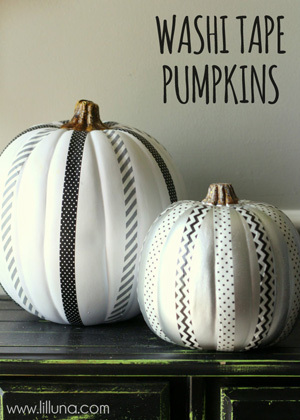 Another option if you wish to not carve a pumpkin is to paint your pumpkin with black, white or silver paint and then use Washi tape running vertical on the pumpkins to give it a gothic style. Washi tape is a decorative masking tape from Japan that comes in all different kinds of patterns and colors. Another option, instead of Washi Tape, use a sequin ribbon for a little bit of glamour. Sometimes, keeping it simple can be the most striking. Glitter pumpkins are easy to make and look glamorous in any home. Use a smaller paintbrush to coat white glue over the surface of a small pumpkin. Hold the pumpkin over a plate and then sprinkle glitter powder all over the pumpkin. Pumpkins can also provide for practical decorations around the house. 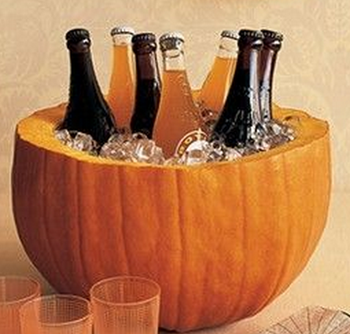 You can cut a large pumpkin in half and dig out all the guts, put some ice and some drink into it and you have a pumpkin ice bucket. You can use pumpkins to help light a walkway. Use oversize heirlooms pumpkins in a variety of autumnal shades to line a front path with hurricanes in a carved out space in the middle of the pumpkin. 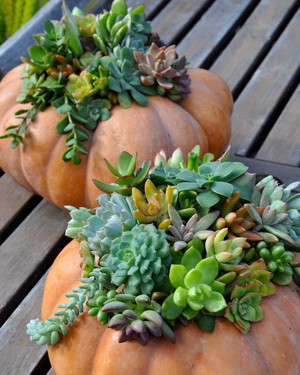 You can also use dug out pumpkins as flower vases inside or flowerpots outside. You can use flowers like succulents or brightly colored asters to add some color. Dig out the inside of a pumpkin and make sure to make the hole large enough to accommodate for a vase or a flowerpot. Carving a pumpkin well can be quite a skill. You can download any number of complex patterns online to challenge your skills that can only be completed if you have the patience and the essential tools. Some people just buy the cheap tools at the super market that just end of breaking after one use. Thinking outside the box when it comes to pumpkin carving tools can help to create a pumpkin carving work of art. A linoleum cutter can be used to carve with greater accuracy and detail. You can also buy miniature saws that are small yet sturdy. You can use these blades to carve irregular shapes that require more precision. Using a keyhole saw can slice through the tough shell of the pumpkin with ease. It is great for carving the lid of the pumpkin or for carving curved shapes on the pumpkin. A very useful tool for carving pumpkin is a power drill. This is a pretty common tool that most people have around them homes and it makes creating allover patterns or small holes easy. Another common household tool that helps with pumpkin carving are cookie cutters. You can hold the cookie cutter up to the pumpkin and tap it with a rubber mallet or hammer until it slices through the skin. All these tools will help to create an intricately, well carved pumpkin that will be the envy of the neighborhood. 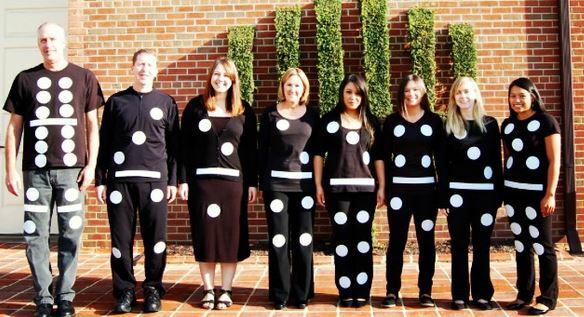 Halloween is such an enjoyable time of year and decorating for it can be fun and creative. Not everyone likes the mess and hassle of carving a pumpkin but since pumpkins are such an integral part of the Halloween experience it is good to know other options are available. Give your house the Halloween treatment that it deserves with these decorating tips and enjoy your Halloween! It’s coming are you ready? It’s German beer and fare time! Oktoberfest Northwest celebrates its 11th year with Washington’s Largest Munich-inspired Festhalle Biergarten, authentic entertainment, traditional German foods and beer, and fun games for all ages. I know I love the chicken dance and singing into the late night. ** Be safe don’t drink and drive. There will be a Taxi stand at the Fair’s Blue Gate during the event. They can meet you there and get you home safe. I’m sure the Puyallup Police Department will be standing by so don’t take the risk. At the event you can expect lots of grub to chow on. Of course you’ll see lots of brats and beer as well as pretzels, schnitzel, and strudel. There are other varieties of food including dumplings, cabbage, and sandwiches. Don’t forget all the desserts. For wine there will be Riesling, Melange Red, and Pinot Gris provided by the Waterbrook Winery. The Washington State Fair Oktoberfest 2015 beers will include Trumer Pils, Warsteiner, Hofbrau, Hacker Pschorr Weisse, Snoqualmie Harvest Moon Fest Bier, and Warsteiner Dunkel. It’s a big beer festival! There is dancing, singing, and bands. Engage and interact will all you other Puyallup neighbors who come to the event – it’s just fun. They have a main stage indoor and an outdoor stage as well. Don’t forget the Oktoberfest Swing Girl who is swing over your head during the event. The host and host headliner is Manuela Horn. 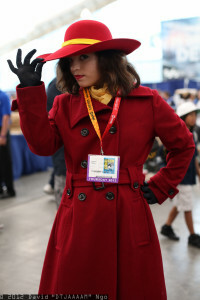 She was there last year as well with great success. It that wasn’t enough you can watch the Wiener Dog Races where they dress up in their cute outfits (on Sunday only). There is a Hammerschlagen competition (who can pound the nails in the fastest?) as well as the obviously open ceremony and other games. As I was driving down Meridian yesterday, I came across the sun shinning down on the Ezra Meeker statue and the ivy cabin area where his home originally was built before the Meeker Mansion we know today. Ezra and his family lived in the cabin for 26 years! The ivy was actually planted by his wife Eliza Jane to provide shade for the cabin in 1864. The ivy continued to flourish (as we all know it does) many years after the cabin walls rotted away. Ezra and his wife Eliza donated the “Pioneer Park” land to the citizens of Puyallup. The vines were saved to be part of the history of the city as well as the concrete pergola to support them. Eventually, the Meeker family moved out of the Meeker Mansion in Puyallup. The statue of Ezra was created to honor him and his one-time home. Ezra came back to Puyallup for the local ceremony in 1926. Just a few years later Meeker would be hospitalized with pneumonia while in Detroit. His condition got better and he returned back home to Seattle but he unfortunately got sick again. George F. Frye (built the Frye Hotel in Seattle) was married to Ezra’s oldest child Louise Catherine. While he was sick he was moved to a room at the Frye Hotel (room 412) and he eventually passed away a few months later on December 3, 1928. He was 97 – just 27 days short of his 98th birthday. His body was taken back to Puyallup where it rest today next to his wife at the Woodbine Cemetery. Today, the Pioneer Park holds many events throughout the year. One of the new additions is the Kiwanis Kids Spray Park which was just finished in 2015. Even though we are moving out of summer into fall, the weather has been amazing! September is proving to be a gorgeous one, so don’t hesitate to enjoy it. The best way to really soak in your surroundings and to get some exercise is get out in nature and hike some local trails. Most people overlook hiking as a regular aerobic exercise and opt for the more cardio heavy forms of working out. However, hiking has many health benefits so get out there and hike those trails. Improves cardio-respiratory fitness. This means that your heart, lungs, and blood vessels will get stronger and benefit from hiking and all that fresh air. Hiking will improve your overall muscular fitness. Your legs and back become stronger due to using them to hike over all different kinds of terrain. Hiking can also help with weight control. Most people on average burn about 370 calories per hour when hiking. This will vary depending on certain factors but overall you can burn a lot when hiking. It also has been known to lower the risk of heart disease, stroke, and high cholesterol. Being outside, enjoying fresh air and getting some exercise has been proven reduce your stress, anxiety and depression levels overall. Hiking can also boost bone density because walking is a weight bearing exercise. In order to reap these benefits, one must be hiking at least 150-300 minutes per week. According to an article published by the Harvard Health, they say a person who weighs 155lbs burns about 223 calories per 30 minutes of hiking time. The great thing about hiking is that you can be at any weight or age to get started. Make sure to research each trail to check out the level of difficulty. 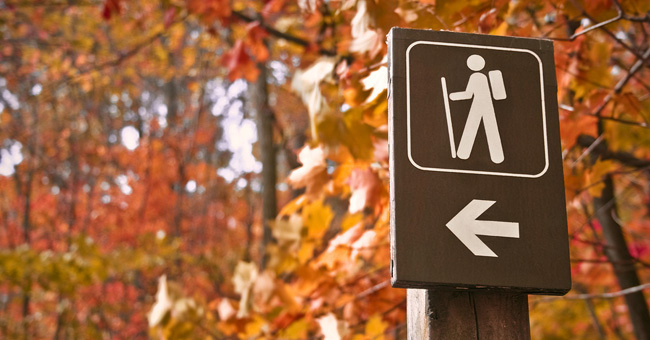 If you are new to hiking, look for trails that are rated as easy. As you start hiking more and more, you can gradually begin to work your way up to moderate to difficult trails. Easy trails usually consist of even terrain with little to no inclines. The more difficult trails will have uneven terrain along with steep inclines. With all these benefits, there is really no reason to not spend time outdoors hiking. Make sure to prepare yourself before your hike. Bring along a lot of water and some nutritious snacks to help keep your energy level up during the hike. Some hikes are long so bringing food along is a good idea. Most hikers use poles to help with stability and safety while hiking but using poles is a good way to help intensify your workout as well. Poles help by propelling your body forward and pushes your upper body muscles to work harder. Be safe out on the trails by hiking with a buddy especially if you are unfamiliar with the terrain or the area. A hiking buddy can also help out if you get injured. Another important aspect to safety is to know the trail before you go especially if you are new to hiking. Being in an unfamiliar area if something goes wrong will only make the situation worse. Also you don’t have to go far to enjoy a good hike. Puyallup has a few trails that are perfect for an afternoon hike. Here is a list of a few good hikes in Puyallup and the surrounding area. 1. Puyallup River Walk East – This trail is a 3 mile trail located approximately 5 miles from the westerly city limit and ending at the East Main bridge behind Mama Stortini’s Restaurant. This trail follows along the Puyallup River and is accessible year round. The elevation gain is only 50 feet so this is a perfect trail for a beginner. You can bring your dog but they must be kept on a leash. The trail is shaded by trees and takes about an hour to walk depending on the pace. 2. Clark Creek Trail – This trail is a 4.2 mile trail that has an elevation gain of 213 ft. This trail also features a river and is a great trail for all skill levels. This is another trail that allows dogs but once again they must be kept on leash. This trail, like the Puyallup River Walk, is also accessible year round. The trail is part of Clark’s Creek Park. The park also includes tennis courts, playgrounds, a softball field, picnic areas and dog parks. The park entrance is on 7th Ave. SW and18th St SW.
3. Nathan Chapman Memorial Trail – This trail is a 2.2 mile trail that takes about an 1 hour to hike. The elevation is about 913 ft. This is heavily used trail so make sure to use proper trail etiquette when hiking. This is another year round trail that allows dogs on leash. This trail has wide cement paths that help to accommodate all the heavy traffic. This trail was also named in honor of Sgt. Nathan Chapman who was a South Hill resident. Access to the trail is at 86th Avenue east and 144th Street East in South Hill Puyallup. 4. Foothills Trail – This trail is about 4 miles that has an elevation gain of 1,300 feet. The Foothills trail is actually a 30-mile collection of six unconnected segments of the old Burlington Northern Railway and the Puyallup to South Prairie section is the most popular section of the whole trail. This is a great trail to ride bikes on because it is a longer, wider trail. Dogs are allowed on leashes. This trailhead is located on the right directly after the cement bridge at the confluence of the Puyallup and Carbon Rivers. Make sure to get out there while the weather is still good and enjoy some of these lovely local trails. It’s a great way to get some exercise and spend time with the family.